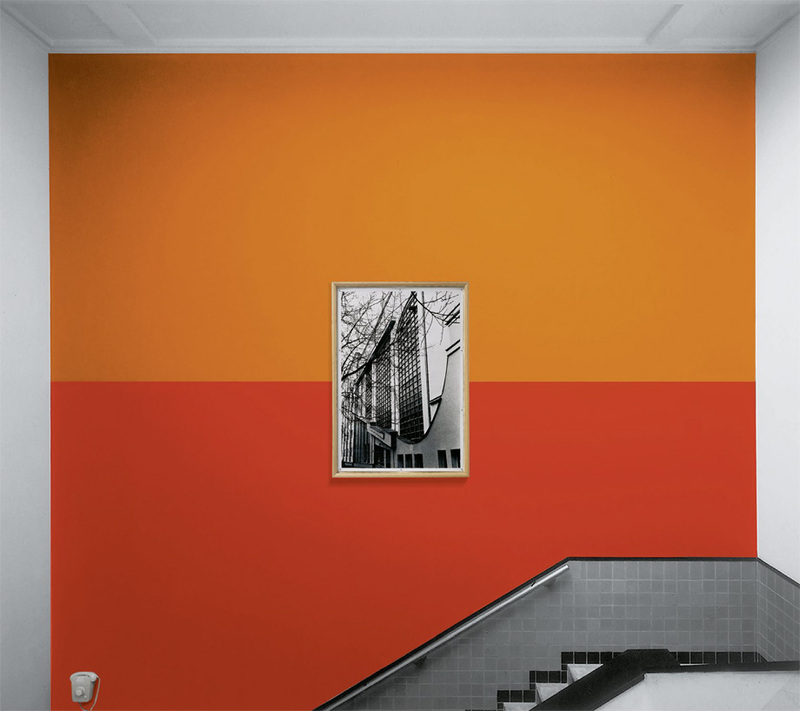 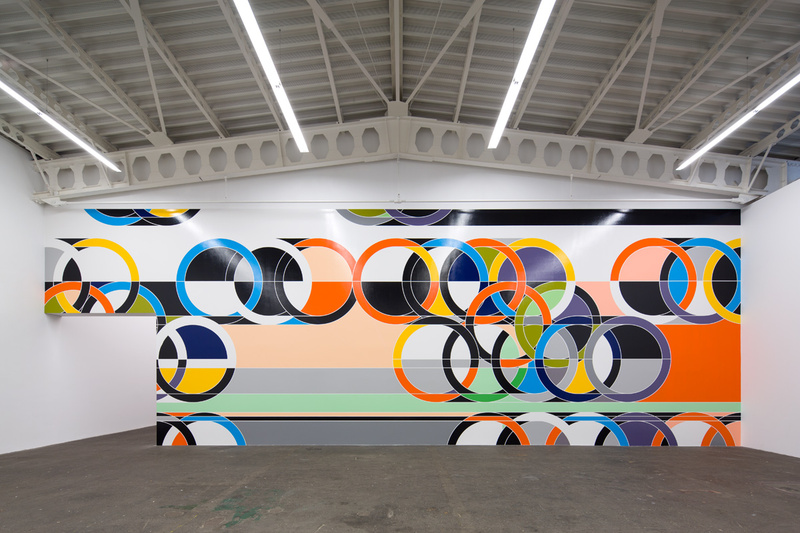 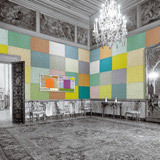 Edition Schellmann asked artists to conceive site-specific wall paintings or installations for a project entitled Wall Works. 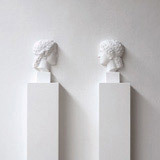 The artists were to create a conceptual design for a work to be executed professionally by skilled craftsmen in the specific space/wall of the buyer. 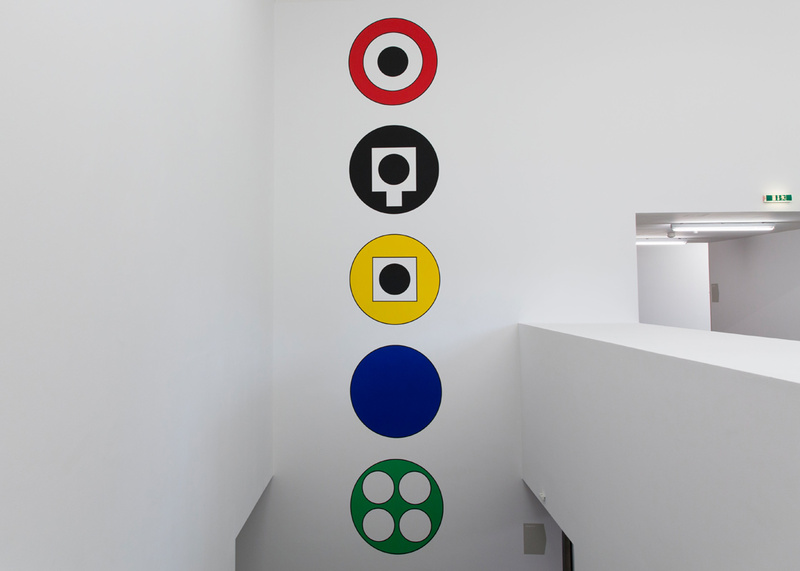 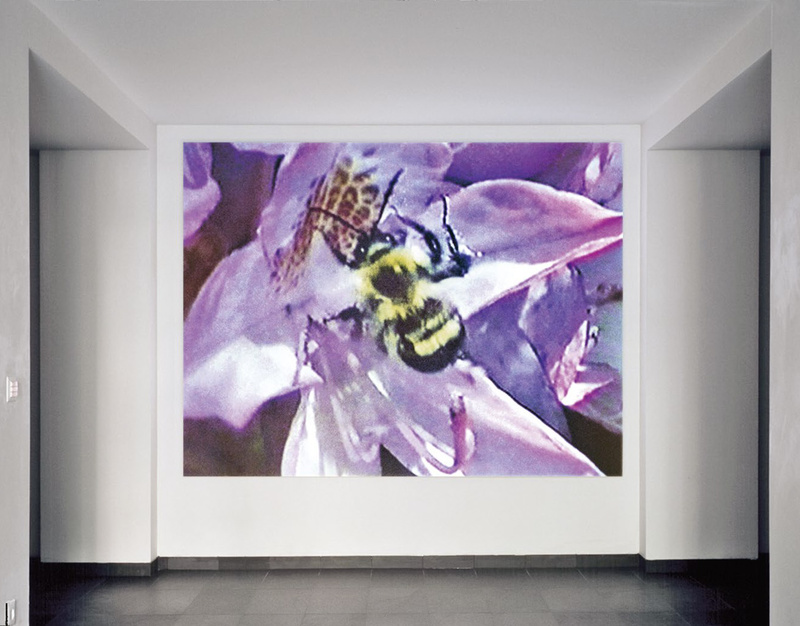 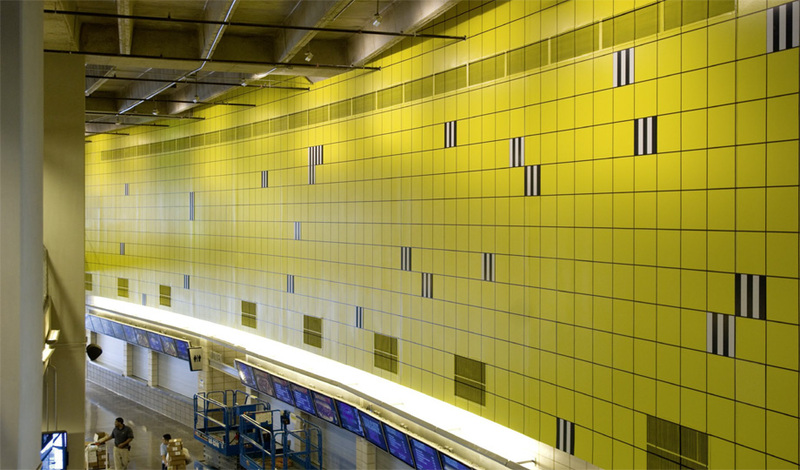 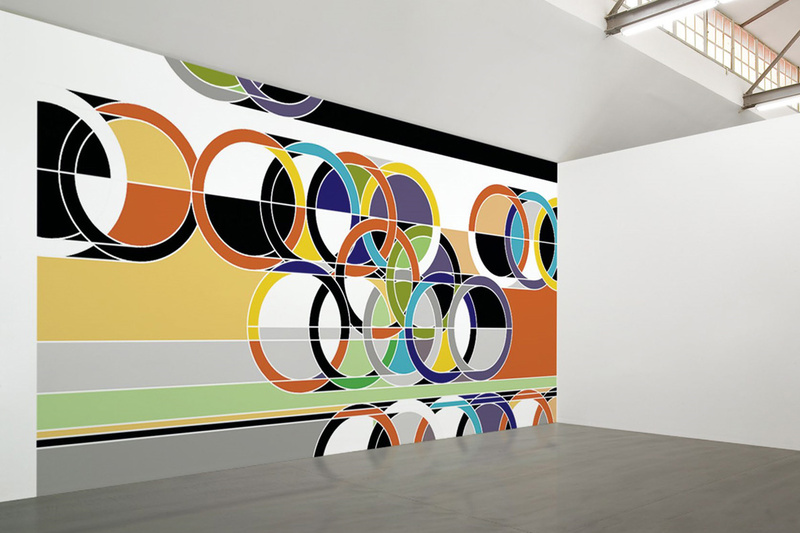 The resulting wall works consist of many different media and combinations of media, including painting, installation of objects, wallpaper, photo, projection, light, drawing, typography, etc. 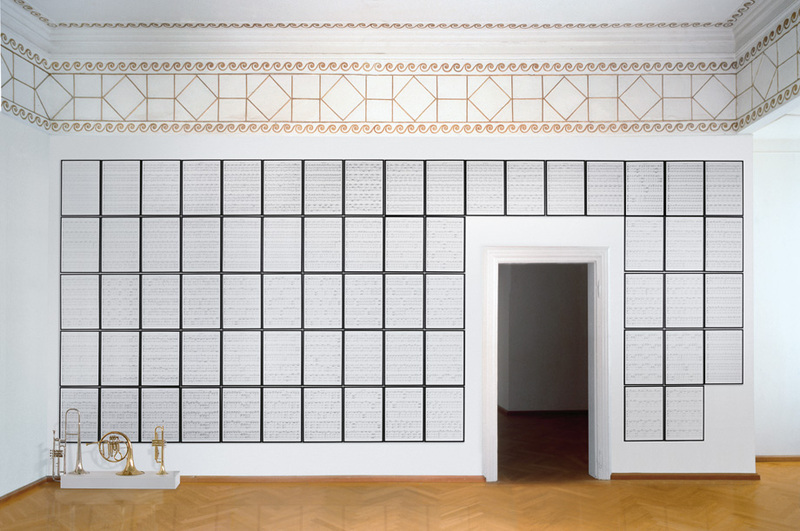 A signed and numbered certificate defines the wall work, giving all artistic and technical parameters and allowing for a small number (1215 approximately) of executions. 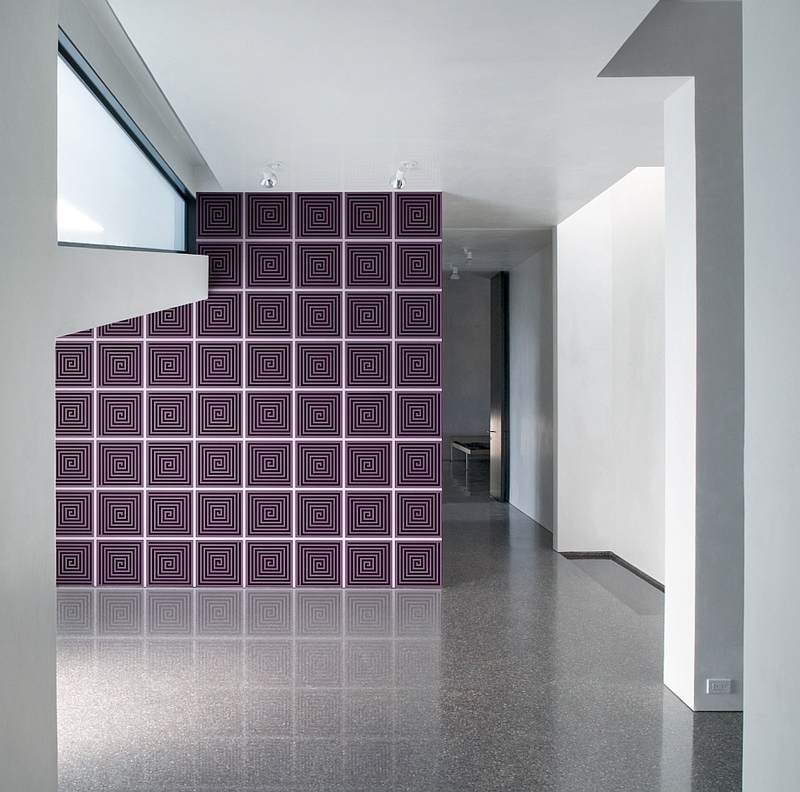 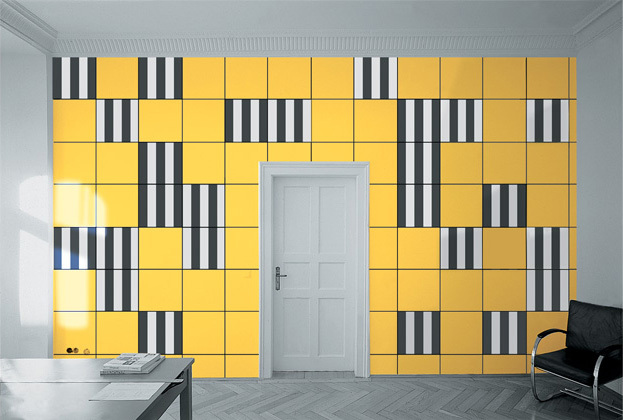 The designs allow for installation on walls of varying size and proportion according to the artists exact specifications given in the certificate and in separate installation instructions. 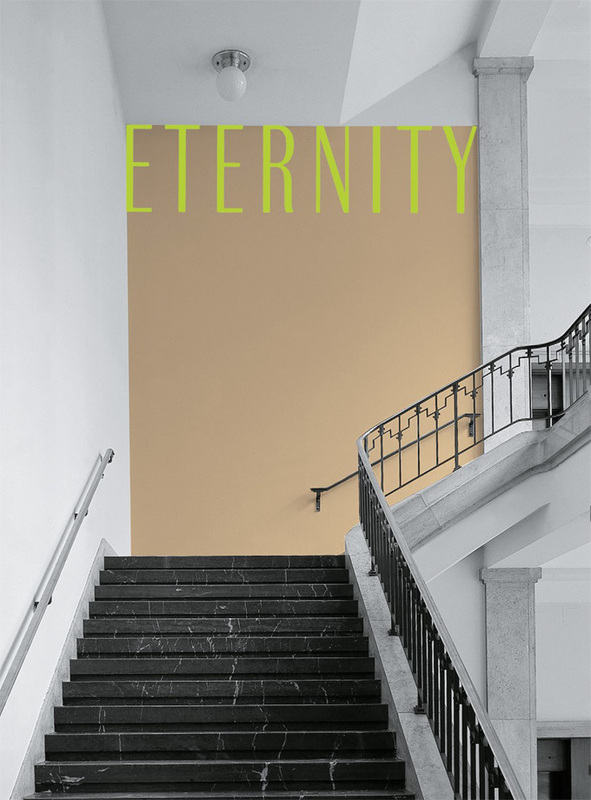 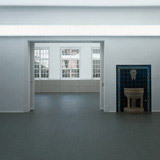 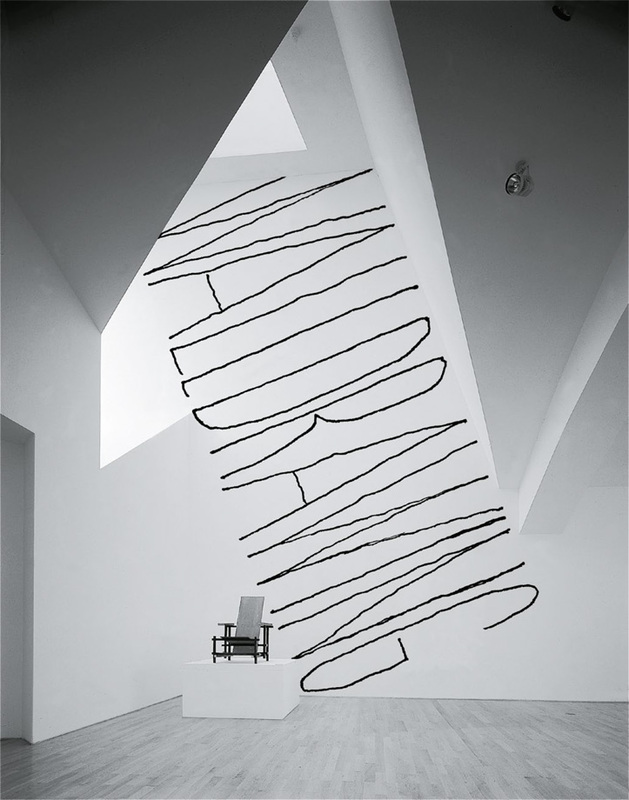 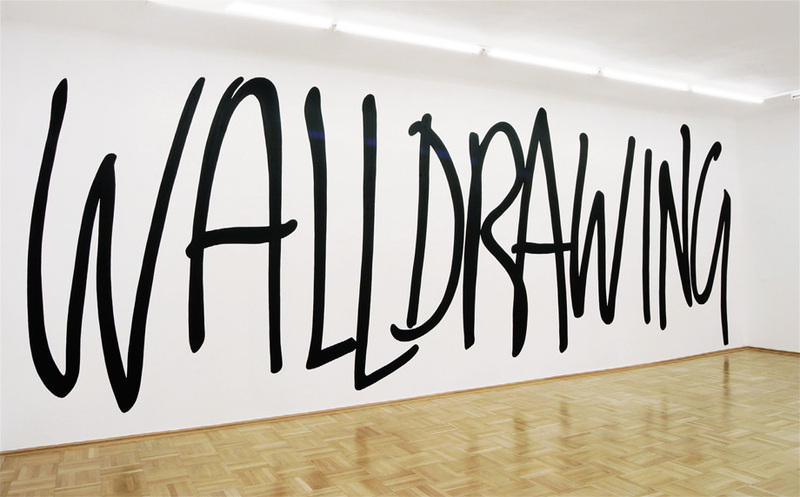 The Nationalgalerie Berlin was showing a collection of Wall Works at Hamburger Bahnhof. 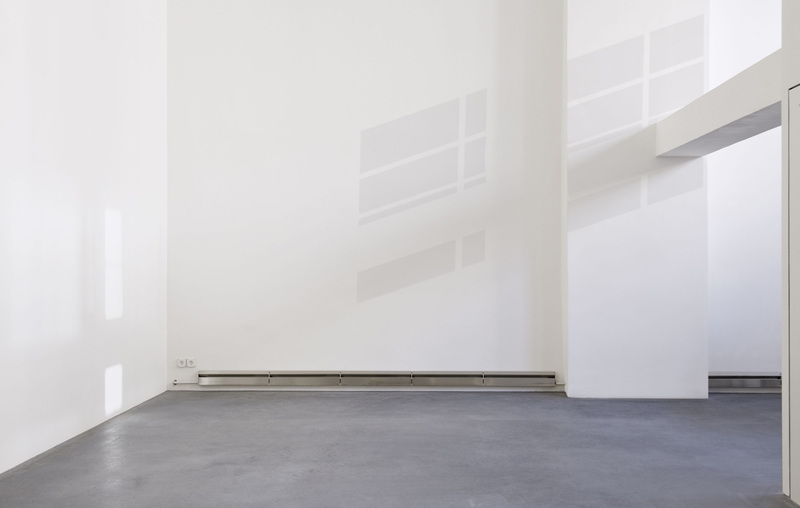 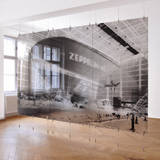 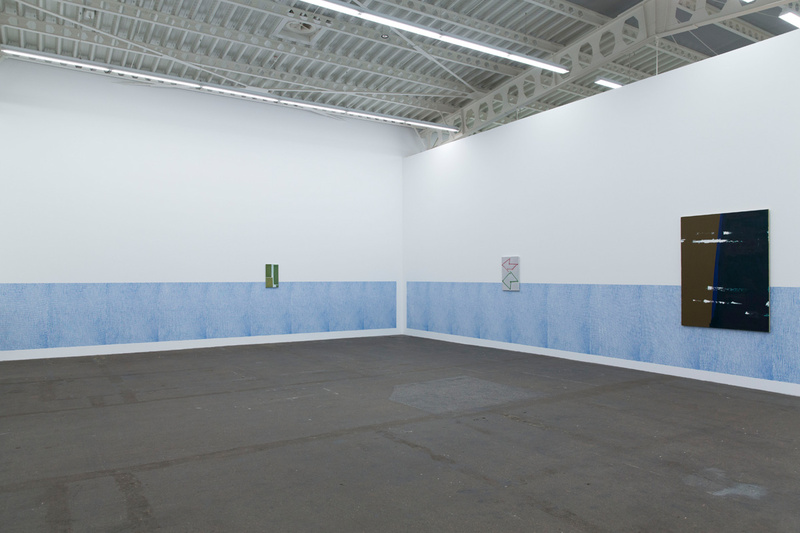 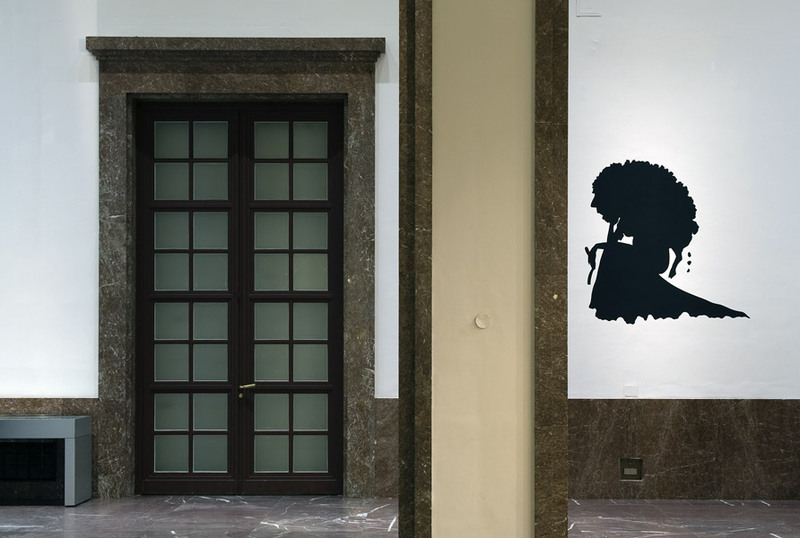 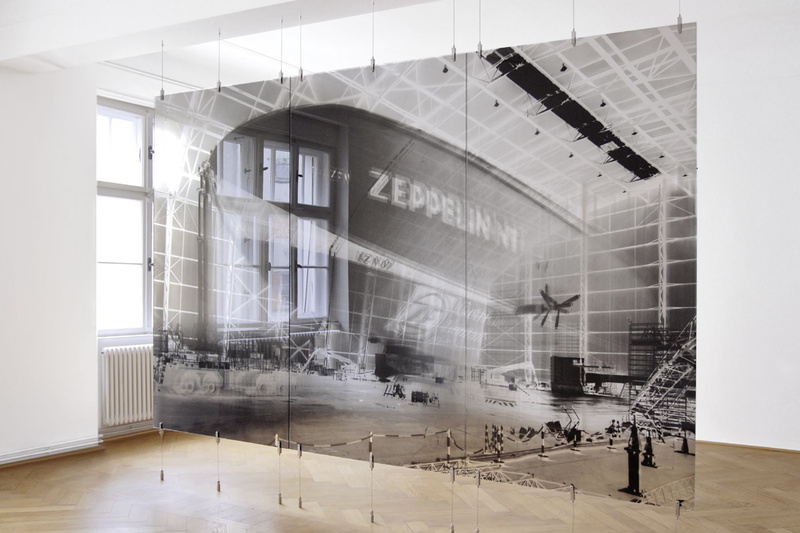 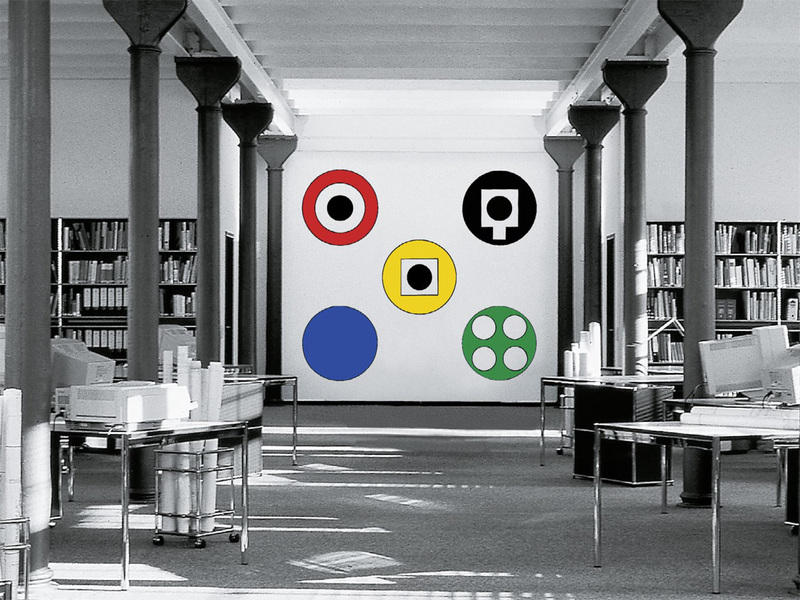 Originally developed for Edition Schellmann between 1992 and 2009, these site-specific works are now presented in juxtaposition with works from the Nationalgalerie´s collection as well as selected works on loan. 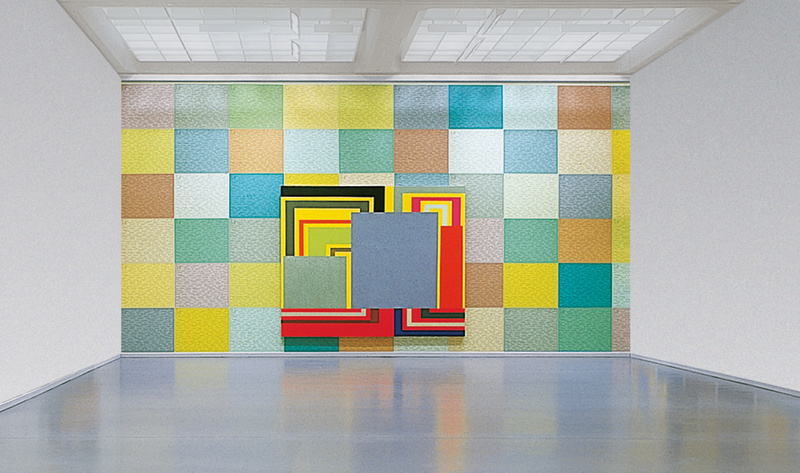 Further wall works from the acquired group were on display at the Neue Nationalgalerie in the exhibition showing works from their own collection, Ausweitung der Kampfzone. 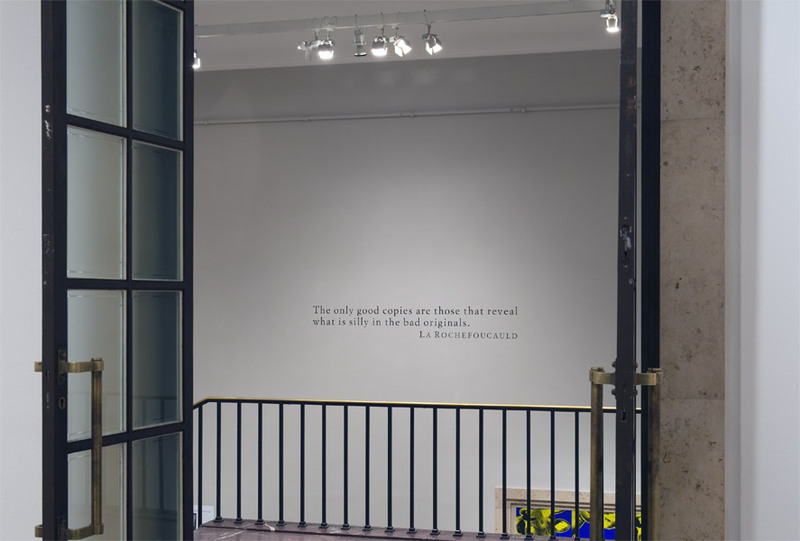 The exhibition was opened on November 28th, 2013 and was extended to run until January 11th, 2015.
specific instructions for on-site installation. 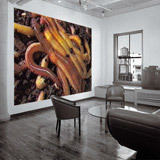 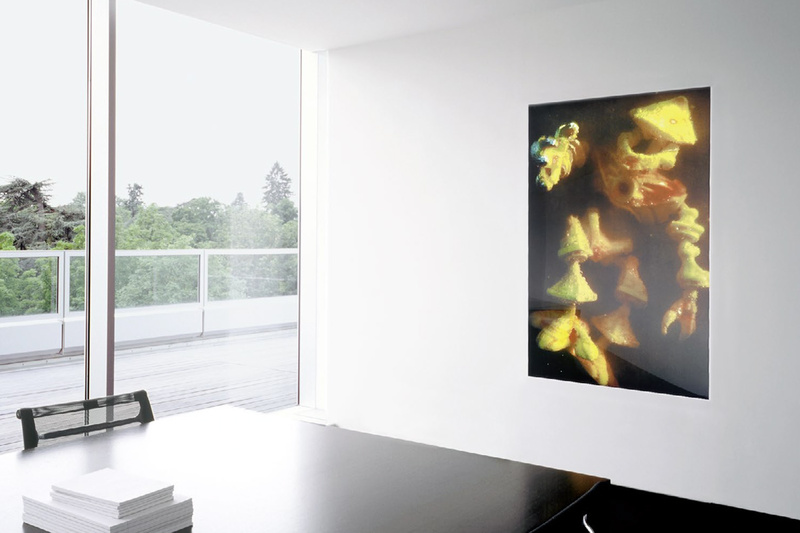 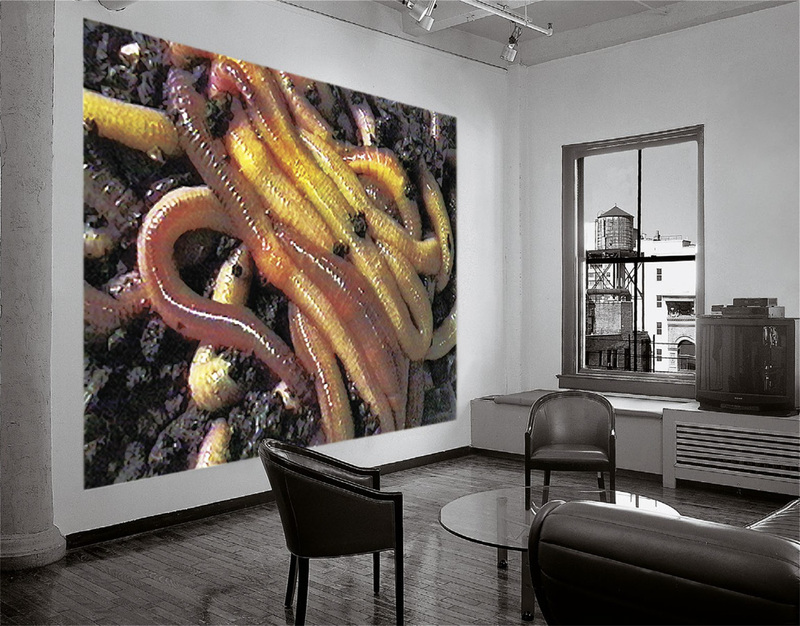 Painting in acrylic on mylar, mounted on a wall. 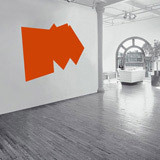 The Corner Splat paintings ironically imitate Formica, an artificial, stale product of the industrial sector whose name has become part of American mass-culture vernacular. 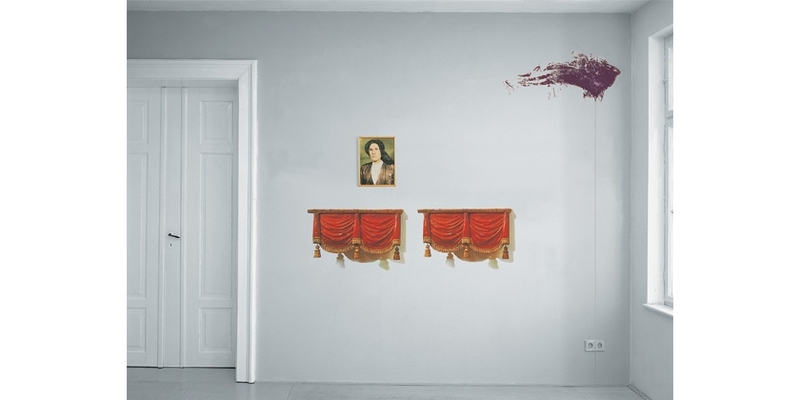 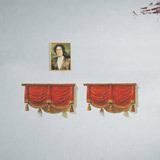 Suggesting material as well as perspective in a "fake" way, the Corner Splats stand in the tradition of trompe-loeil paintings. 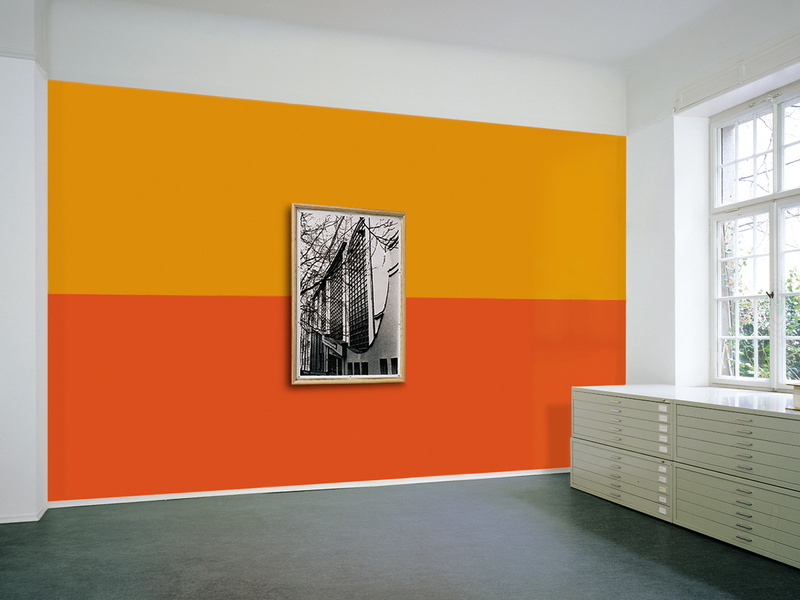 Hybrids of painting, sculpture and furniture, they confuse our concept of the objects surrounding us and carve out real and imaginary spaces which are exceptions to the hegemonic rationality of everyday life in the West. 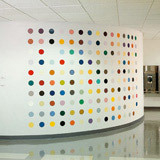 15 installations, each unique in wall color, with a signed and numbered certificate. 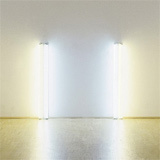 Warm white and daylight fluorescent light, two units 122 x 14 x 7,5 cm (48 x 5½ x 3") ea; installation size according to the wall. 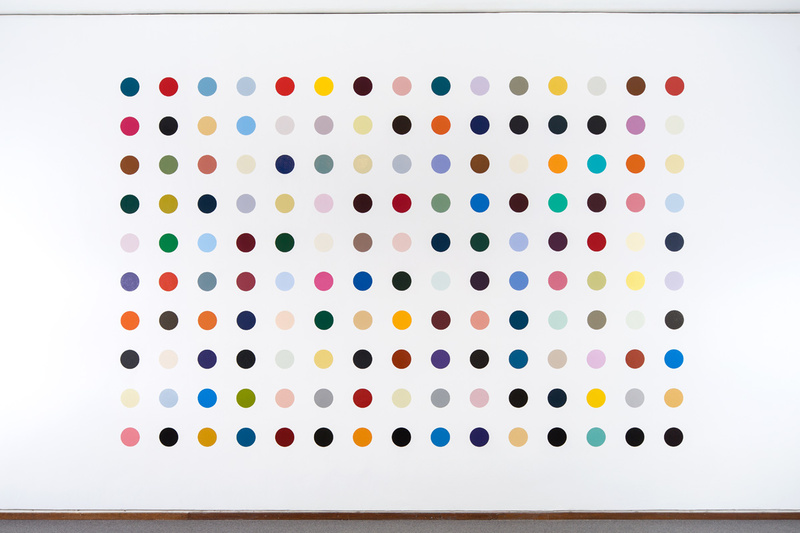 Limited to an edition of 2, with a signed and numbered certificate (5 planned, only 2 made). 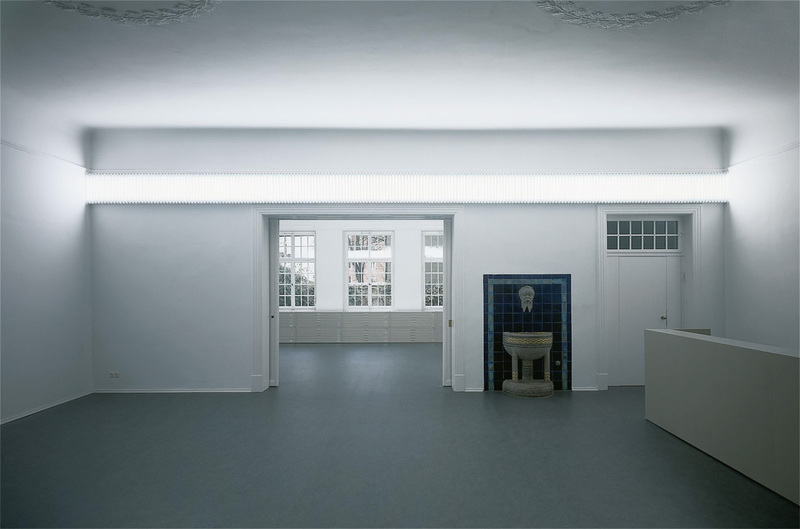 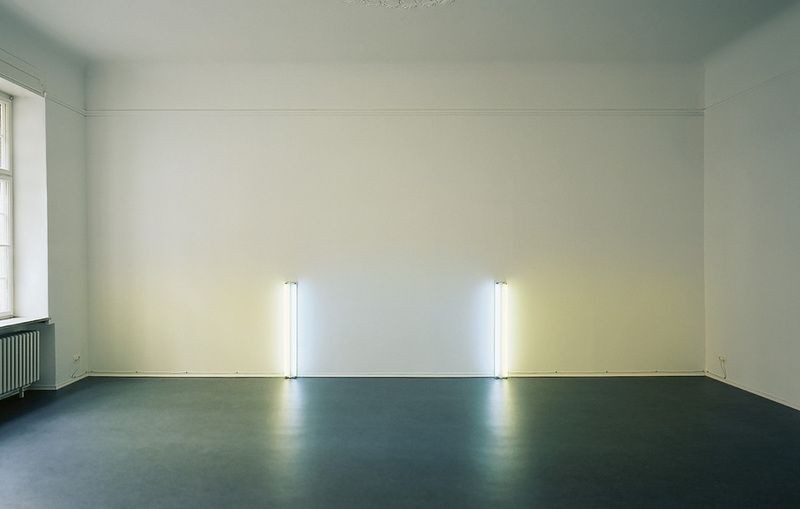 The two fluorescent columns of the work "Untitled (for Robert Ryman)" shown divide the wall into three light zones: warm - cool - warm. 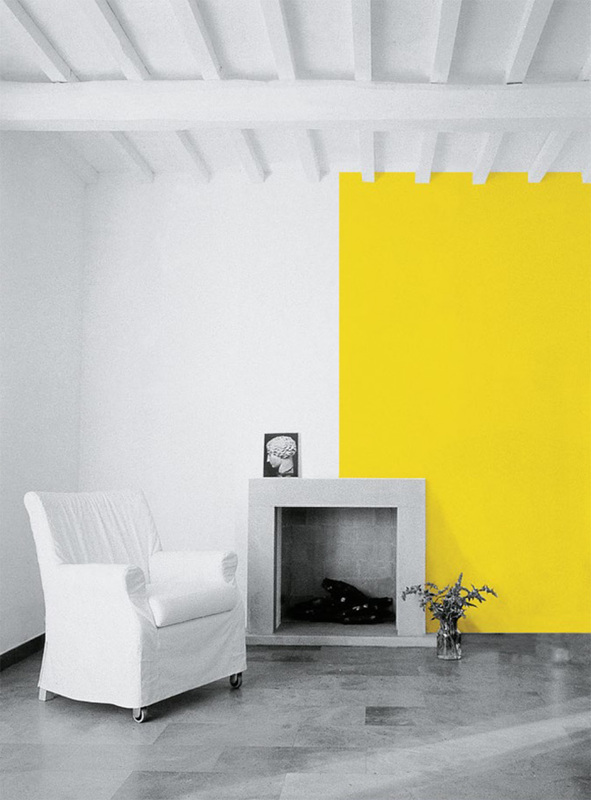 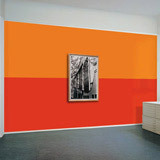 Offset wall poster, in four parts, pasted directly onto a wall. 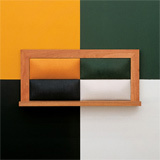 Object (wood, foam, leather) and wall painting in four colours. 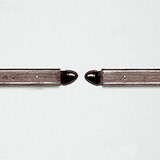 Object 97.5 x 210 x 35 cm ( 38½ x 82¾ x 13¾ in. 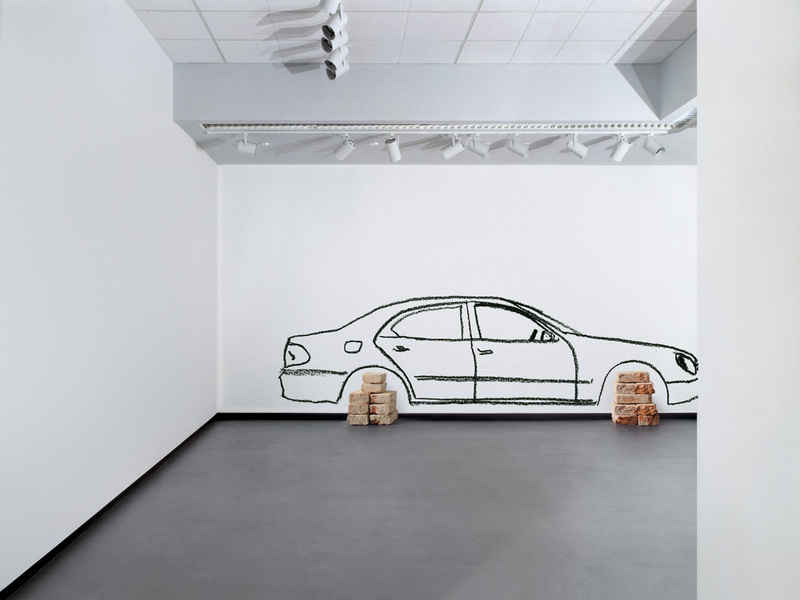 ), installation size according to the wall. 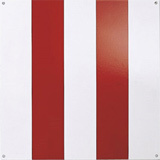 Limited to 10 installations, unique in colour combination, with a signed and numbered certificate. 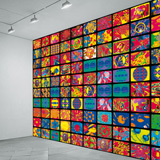 164,5 x 197,7 cm (61 x 78"). 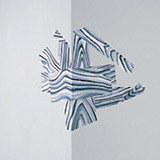 (gouache, 102 x 73 cm). 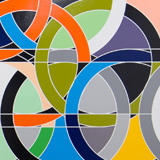 (gouache, 100 x 70 cm). 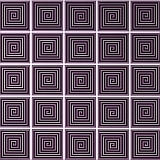 configuration of the neon signs variable. 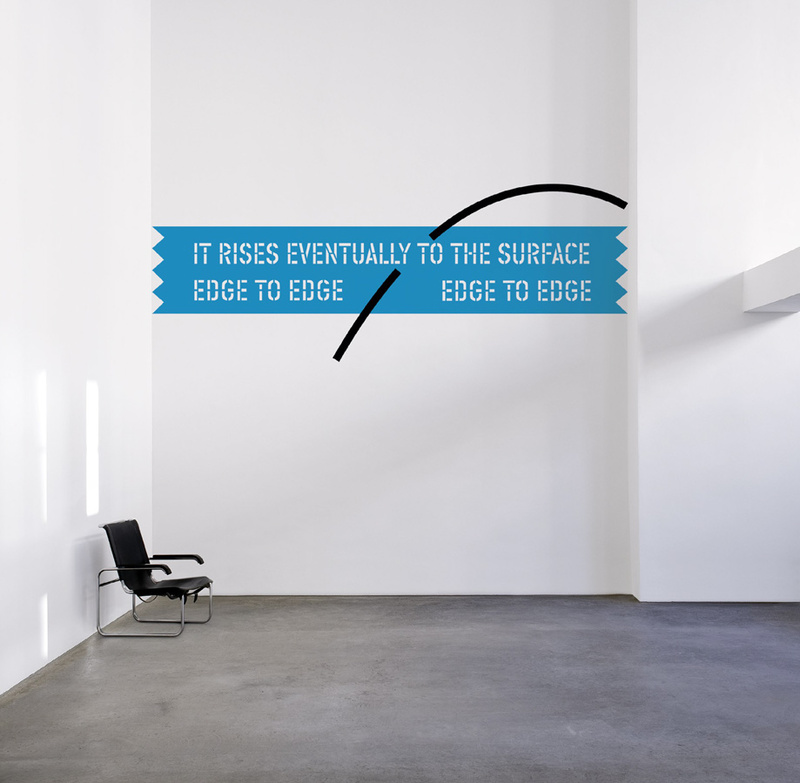 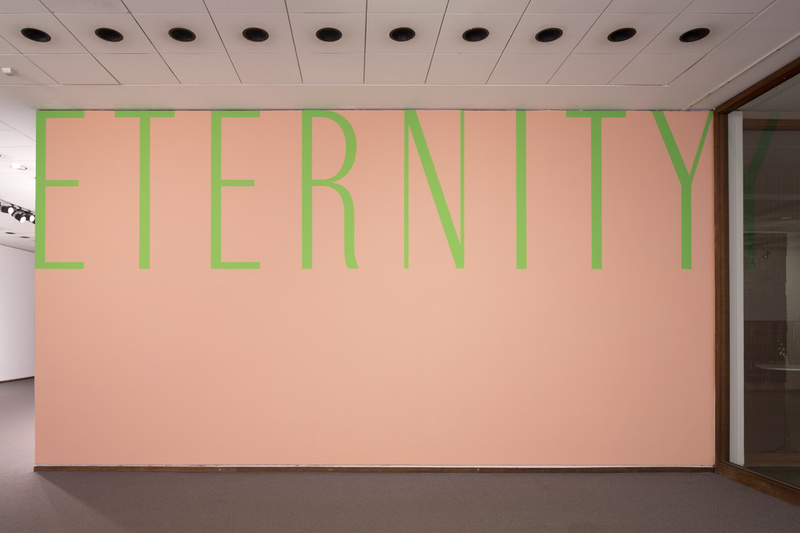 The wall work Sigla, Finnegans Wake is one of several Joyce-based Kosuth works - others include an immense installation at the Irish Museum of Modern Art in Dublin and permanent installations in Tokyo and Lyon. 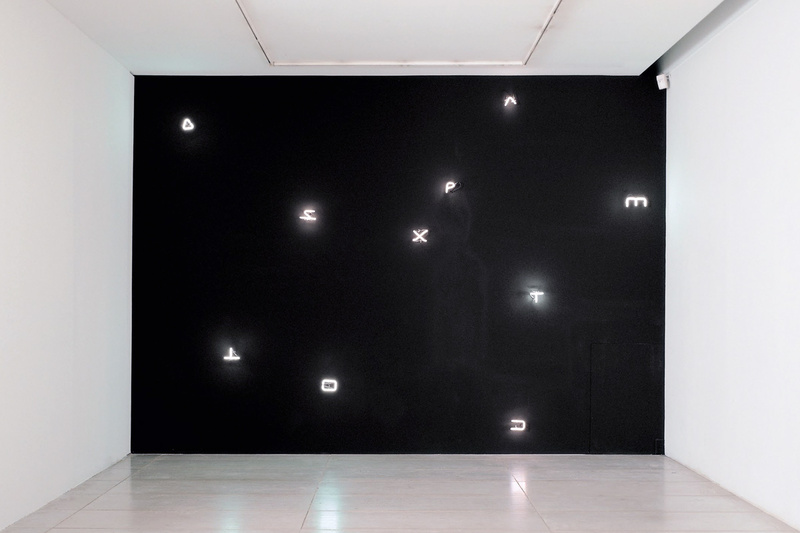 For Sigla, Kosuth has made white neon "text" after the sigla (signs) Joyce used in his seminal 1923 work Finnegans Wake to designate characters and their identities. 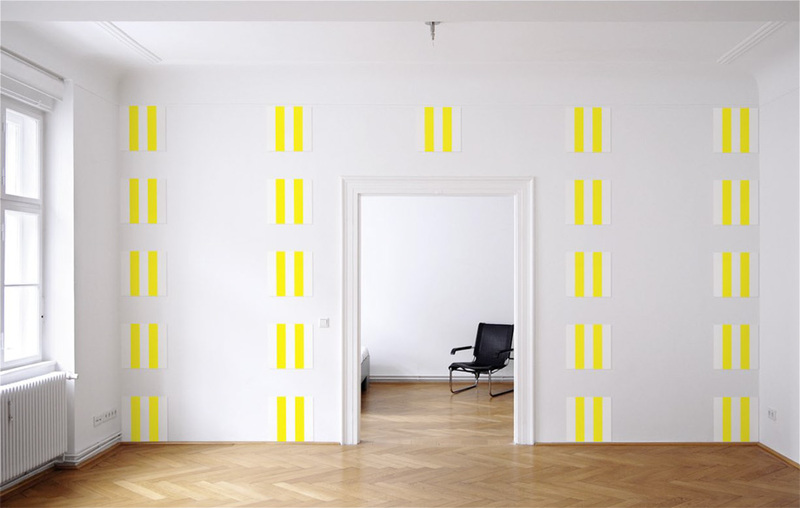 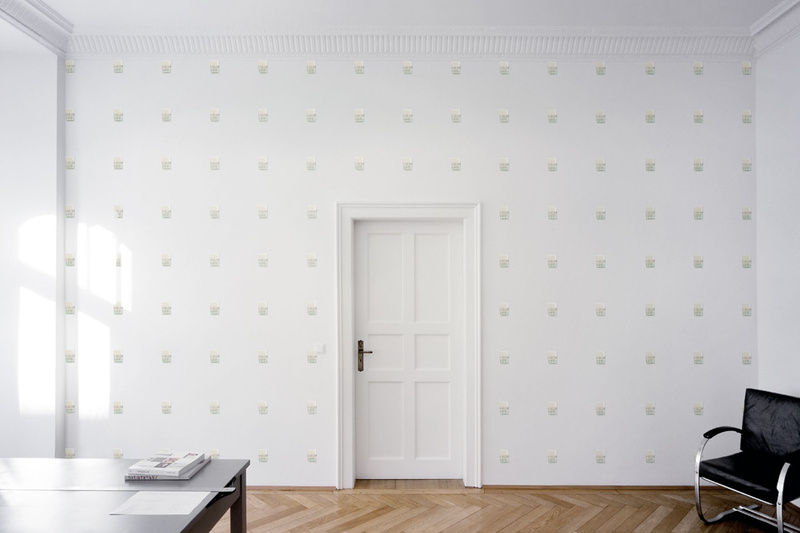 These luminous signals are to be configured freely on a black wall, suggesting a starry night sky. 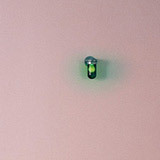 and green glass) on a mauve-painted wall. 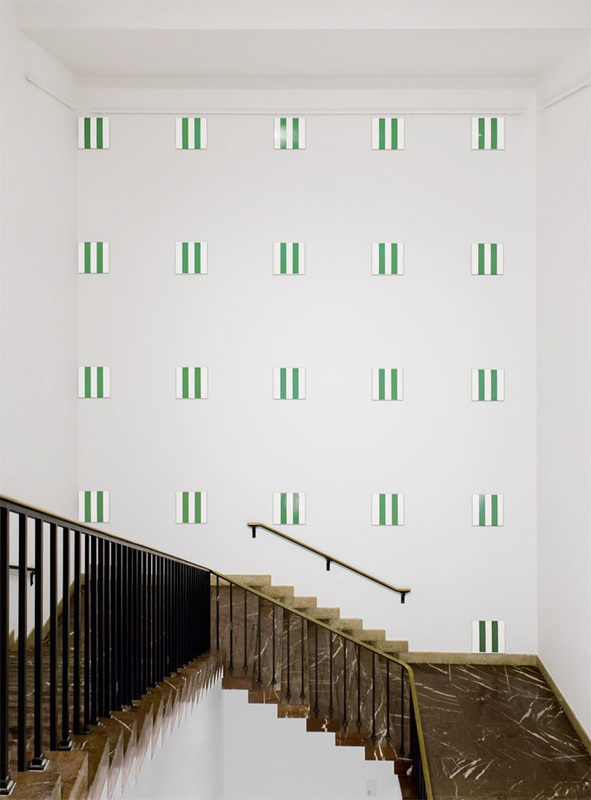 The wall work shown here is inspired by Pharmacie, an early assisted readymade by Marcel Duchamp. 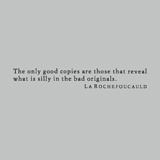 Riding an evening train from Paris to Rouen, he saw in the distance a pair of lit windows. 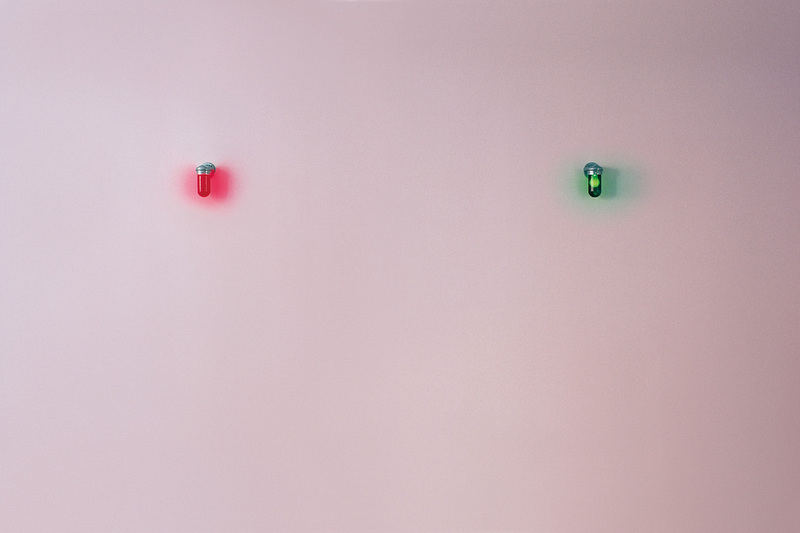 Soon afterward he bought three copies of a banal landscape at an art supply store and painted a red and green dot on each, suggesting the jars of colored liquids in the windows of French pharmacies. 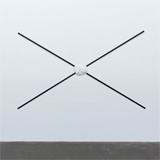 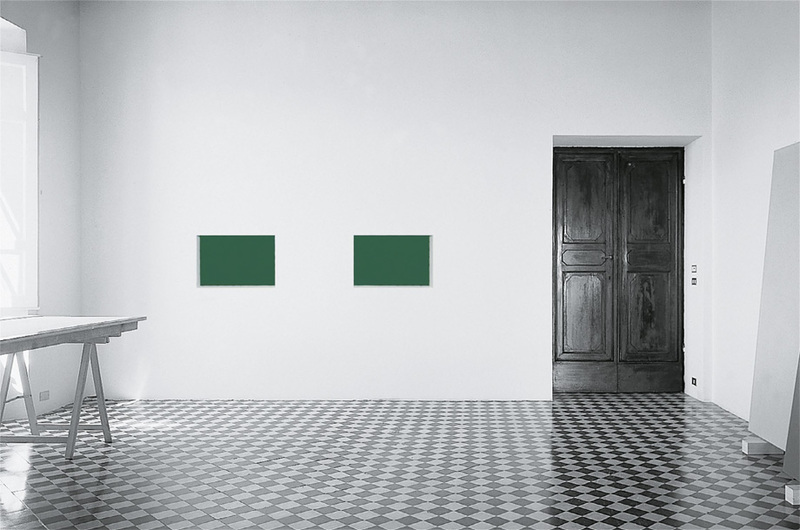 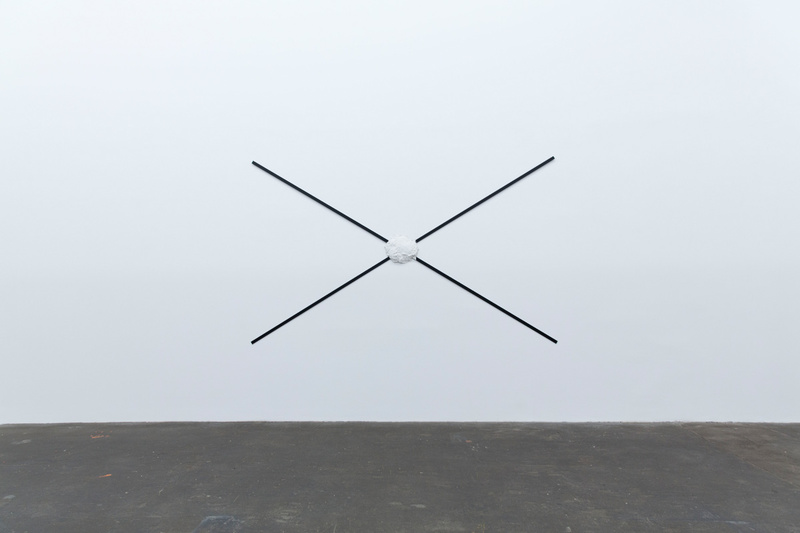 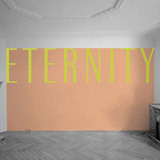 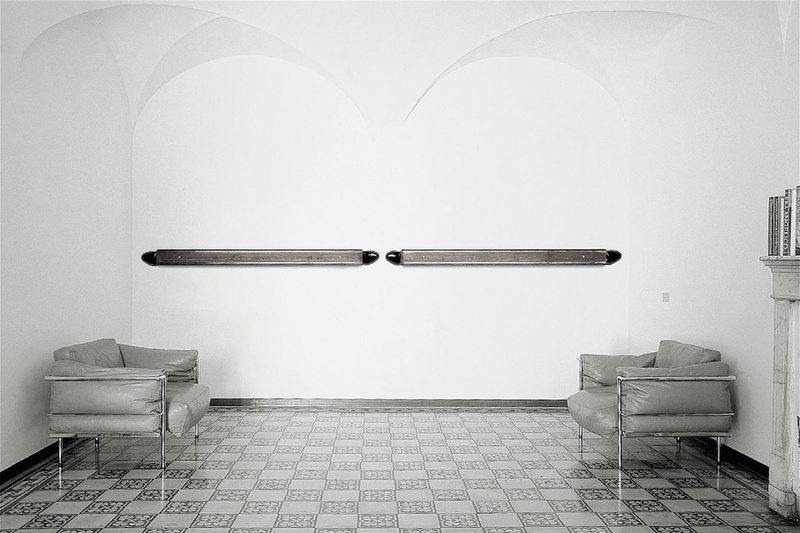 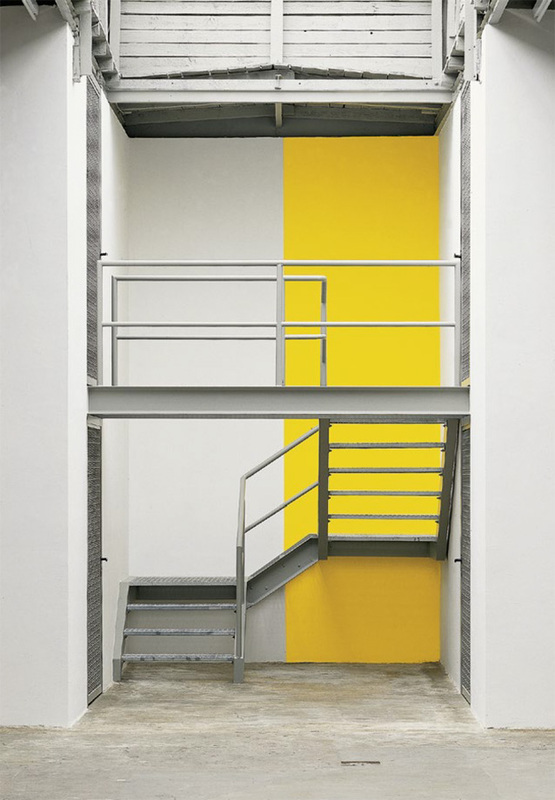 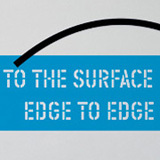 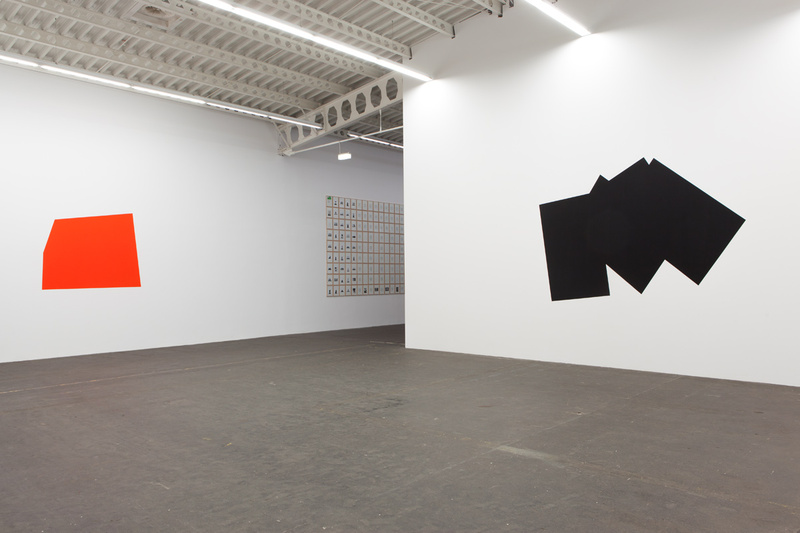 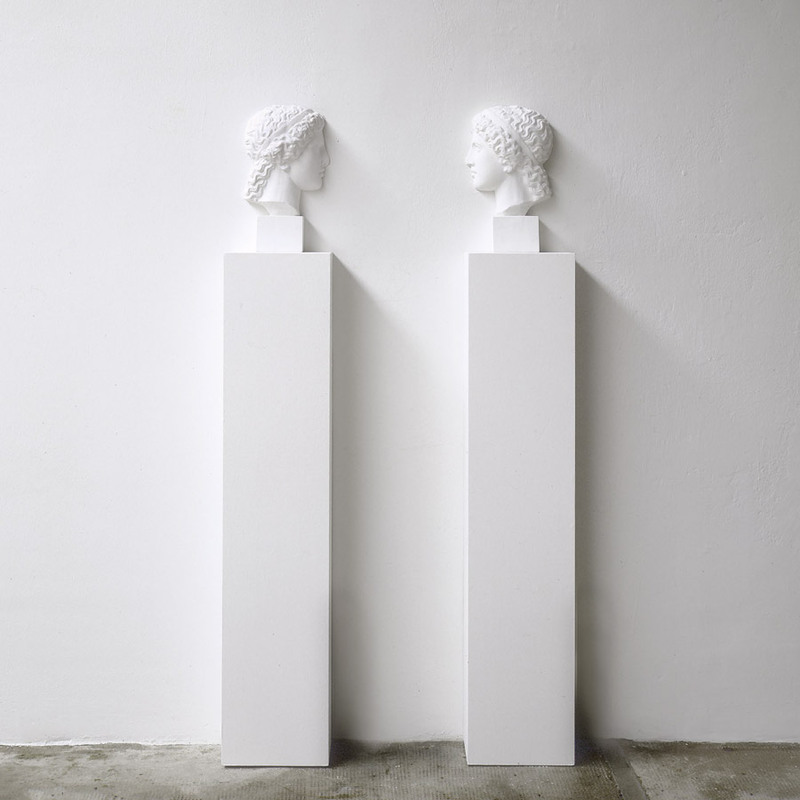 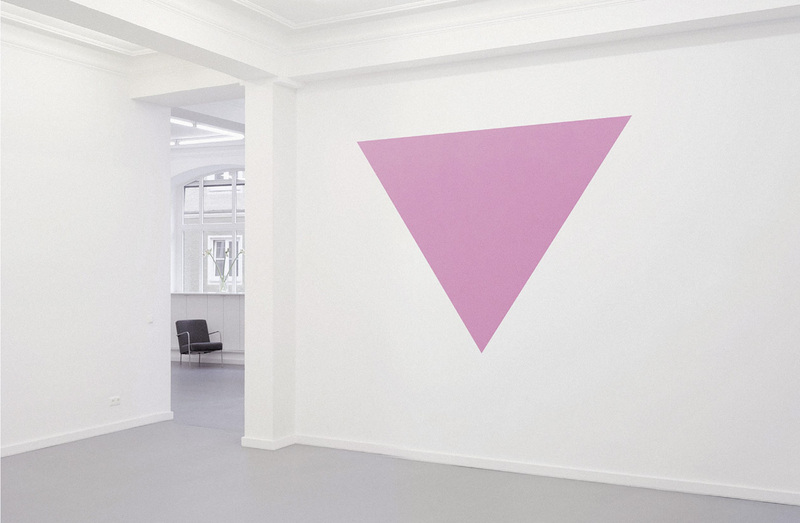 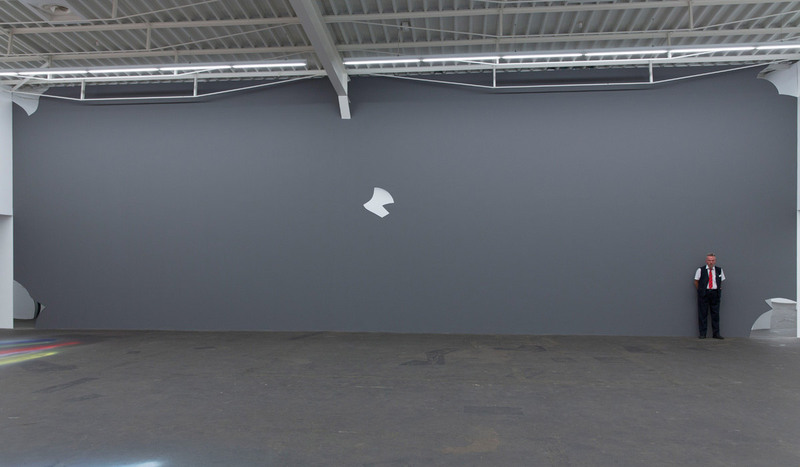 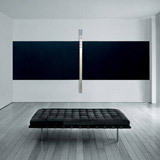 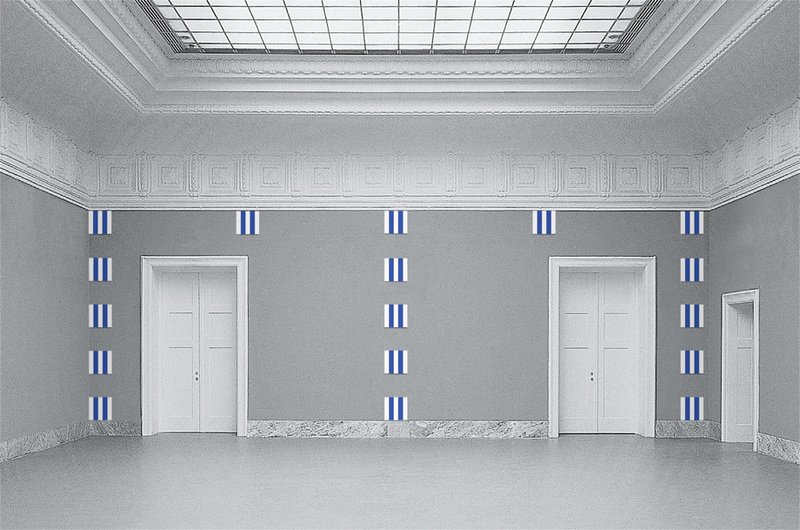 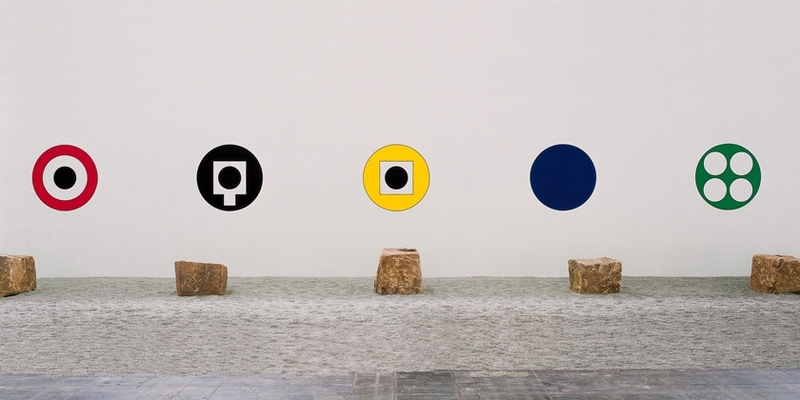 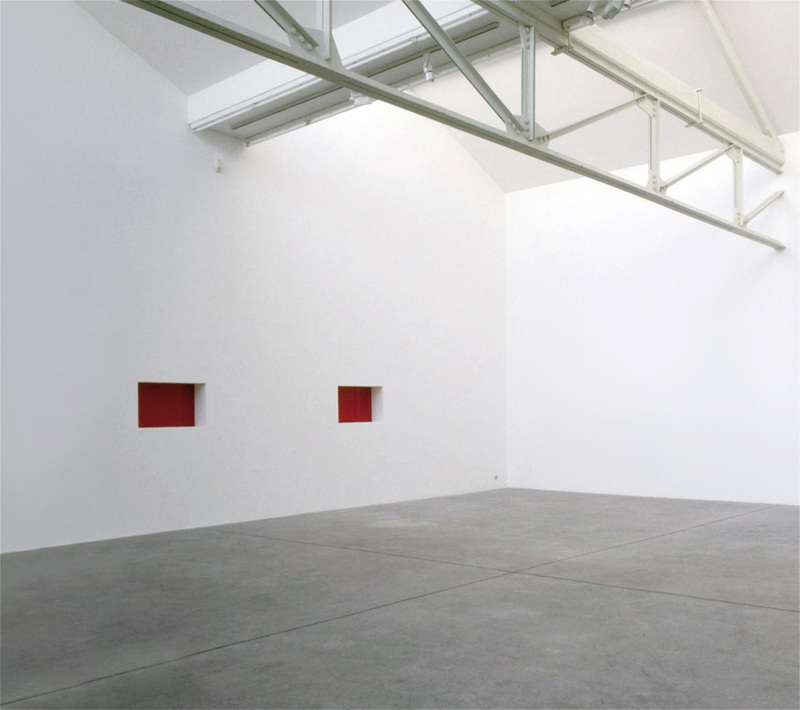 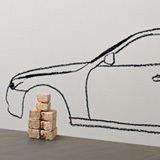 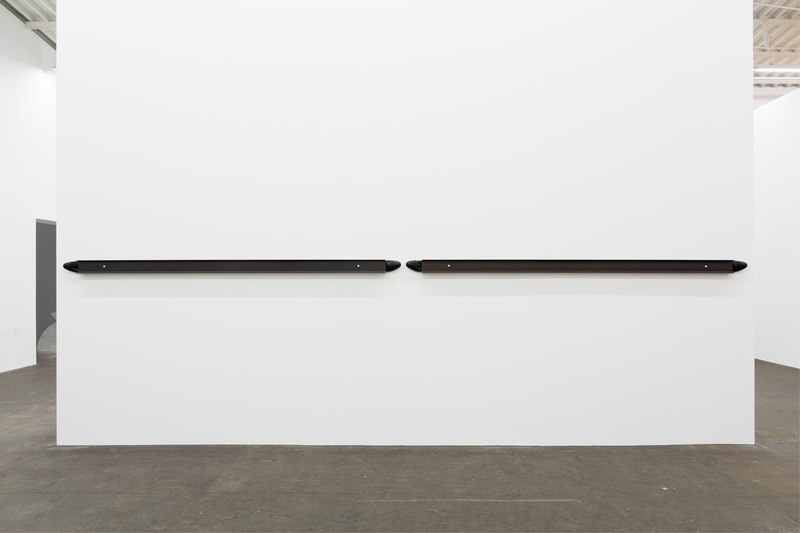 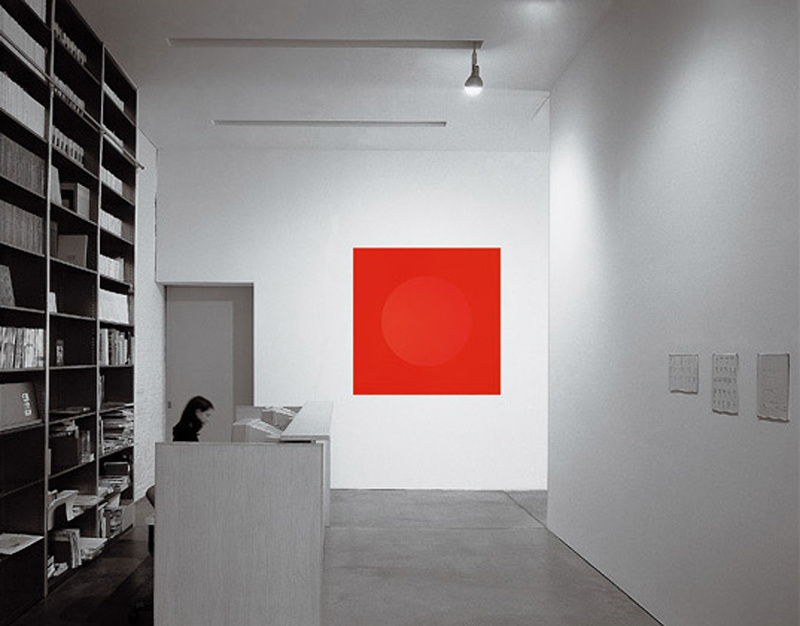 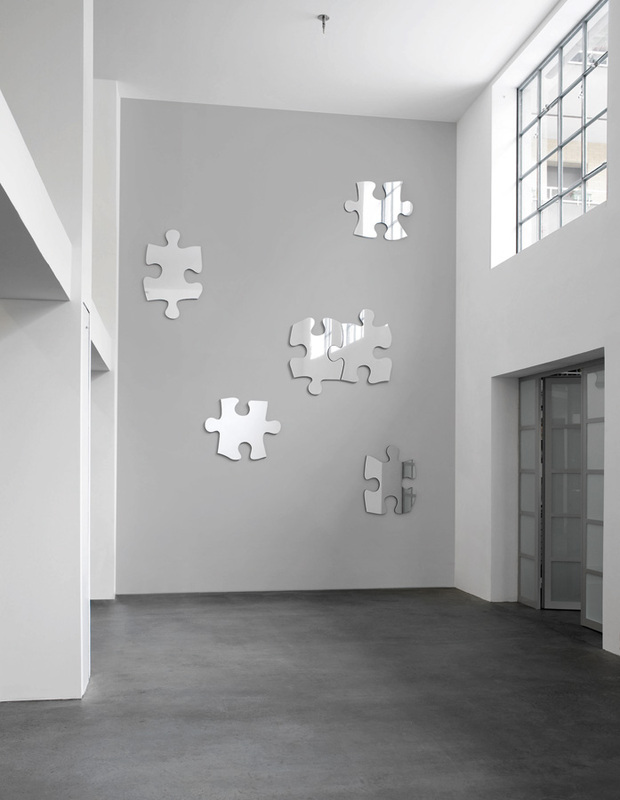 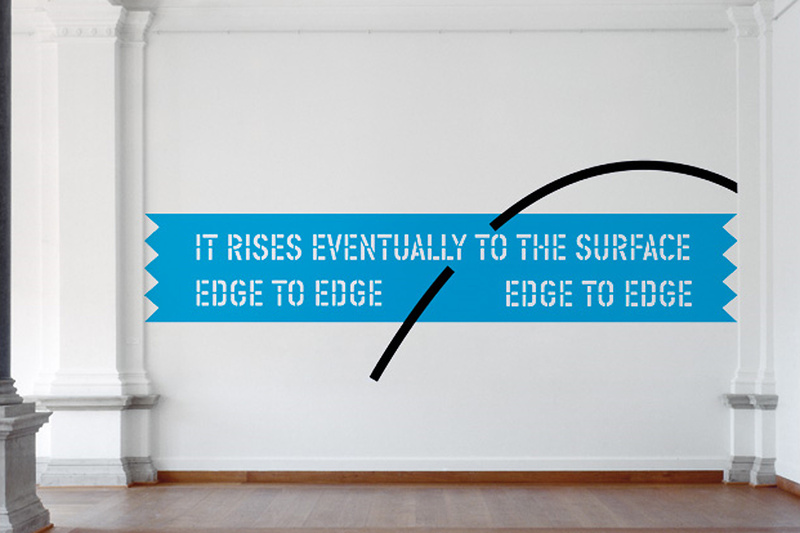 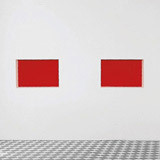 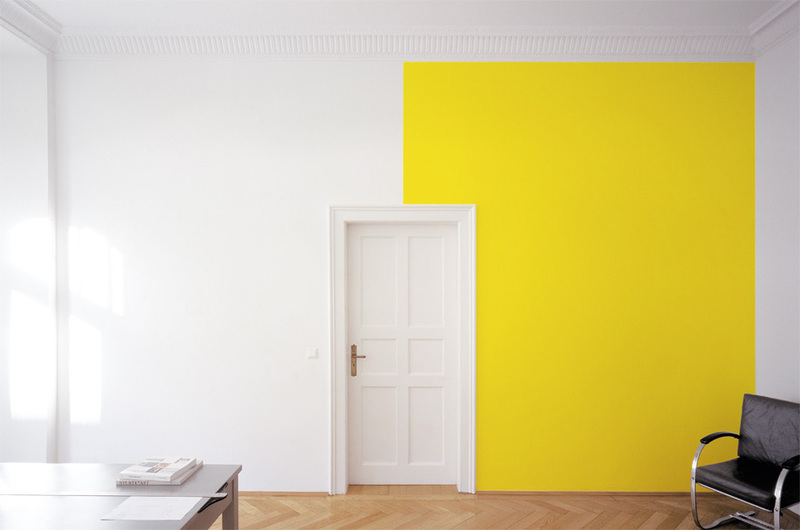 Levine used this minimal artistic gesture as a point of departure for the austere and poetic wall installation of the same title. 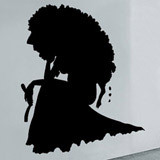 the owner. 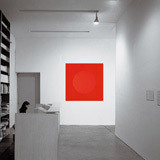 Limited to 10 installations. 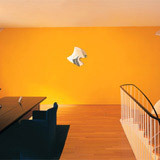 the artist to have it signed, numbered and returned. 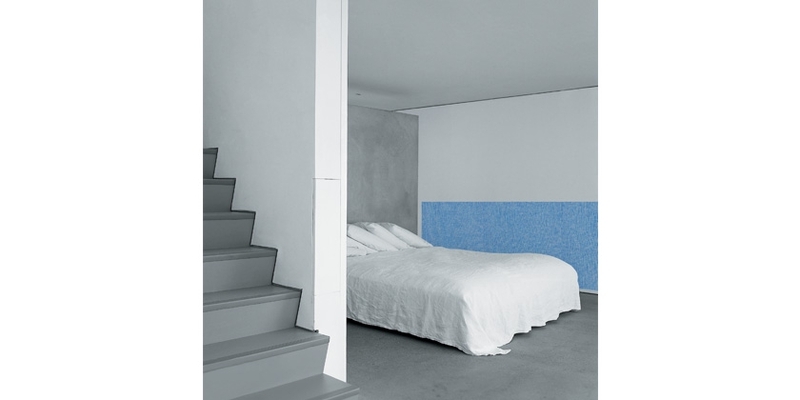 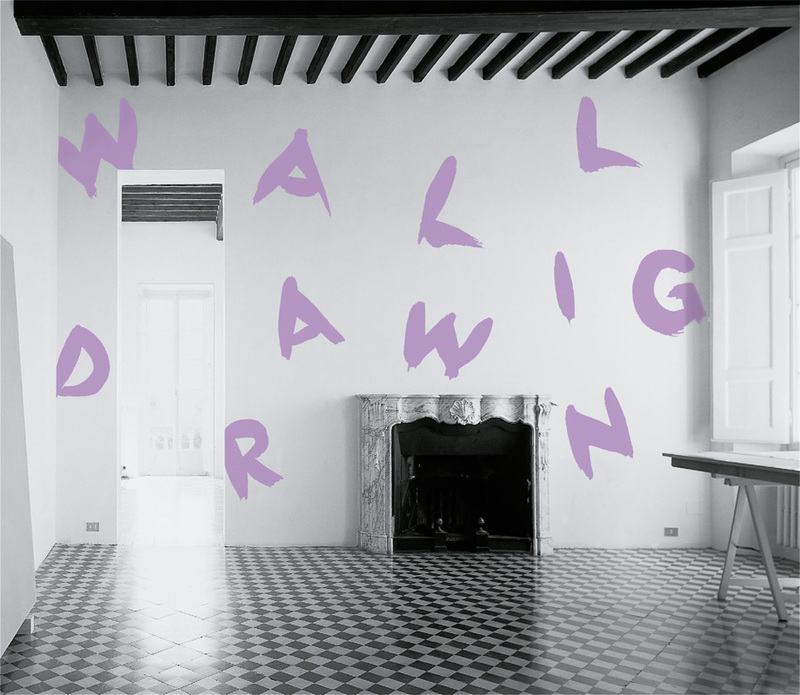 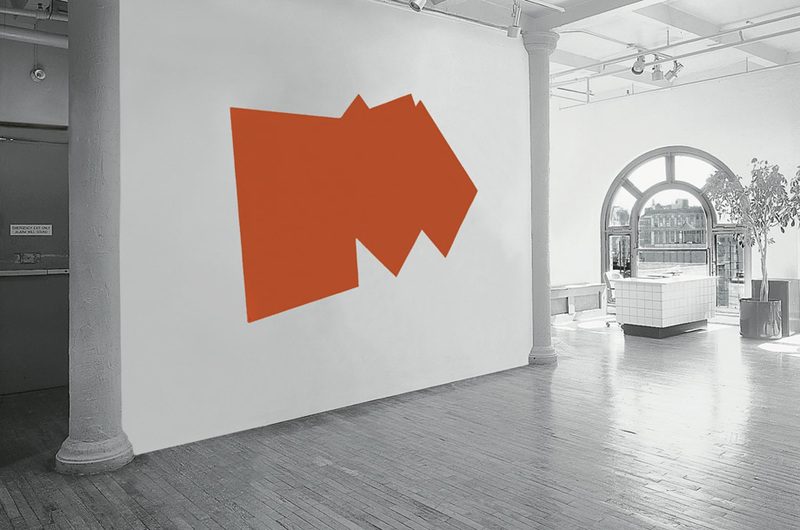 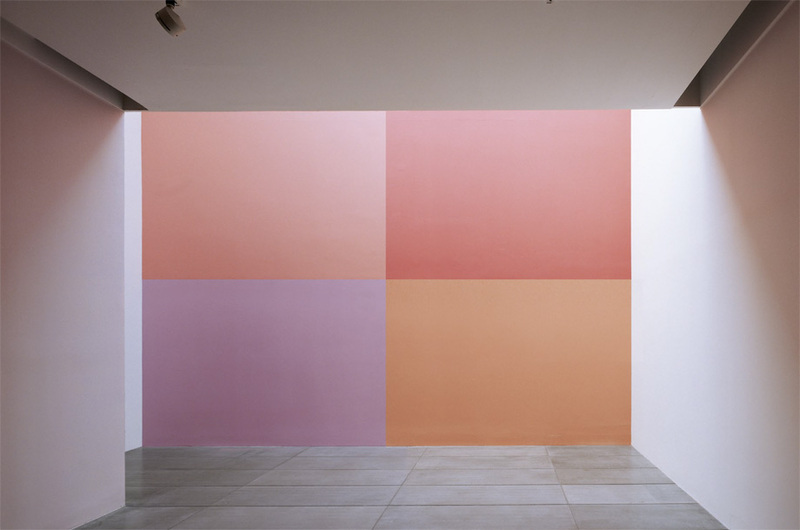 As one of the first truly contemporary artists, LeWitt did wall drawings beginning in 1968. 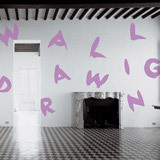 Initially they were executed in pencil in his own hand, but soon they were replaced by written instructions and sketches meant to enable any competent draftsperson to execute a wall drawing. 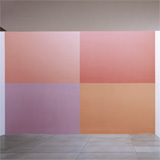 This concept confirmed LeWitt´s notion of the artist as a thinker and originator of ideas rather than as a craftsperson. 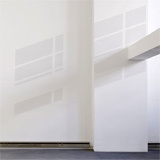 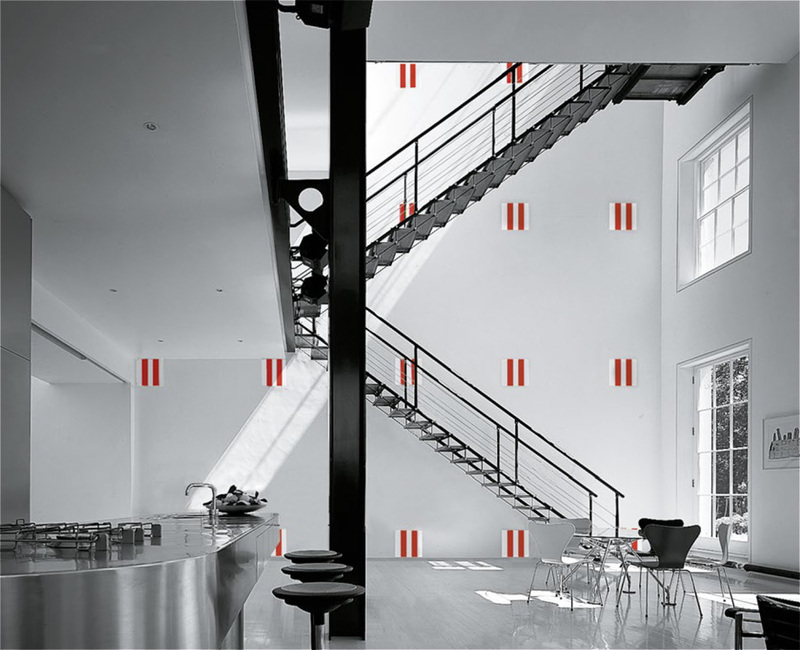 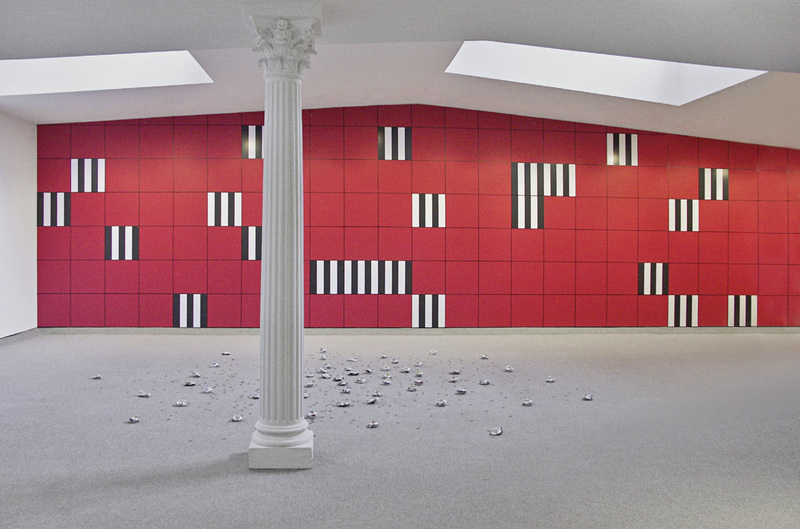 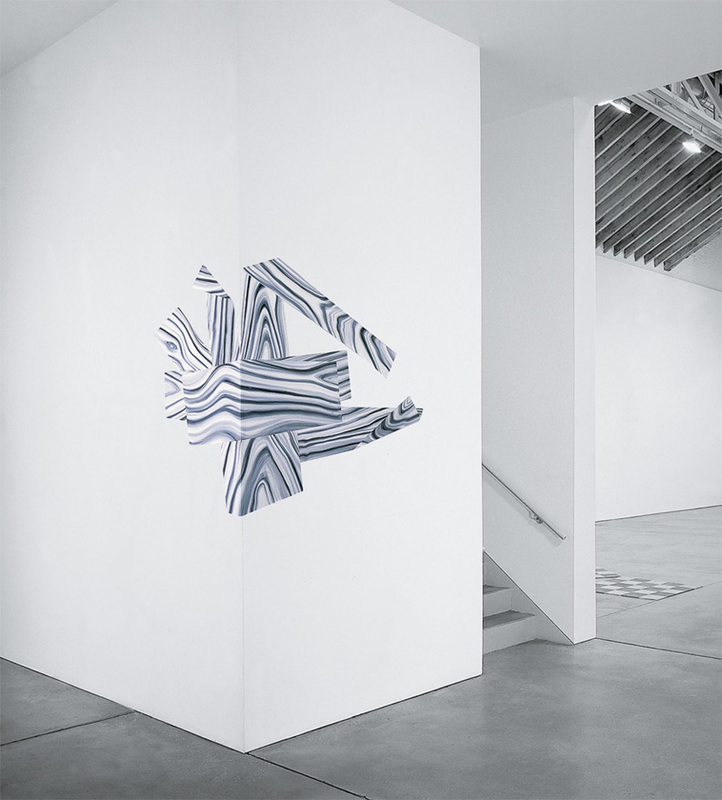 Due to the temporary nature of most LeWitt wall drawings the instructions given by the artist function somewhat as do musical scores, and the artist welcomes subsequent performances in other locations. 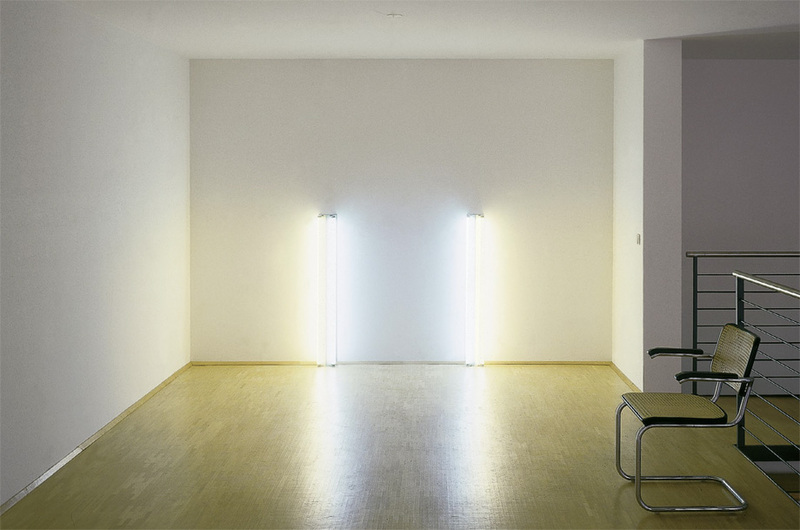 Limited to one installation (unique). 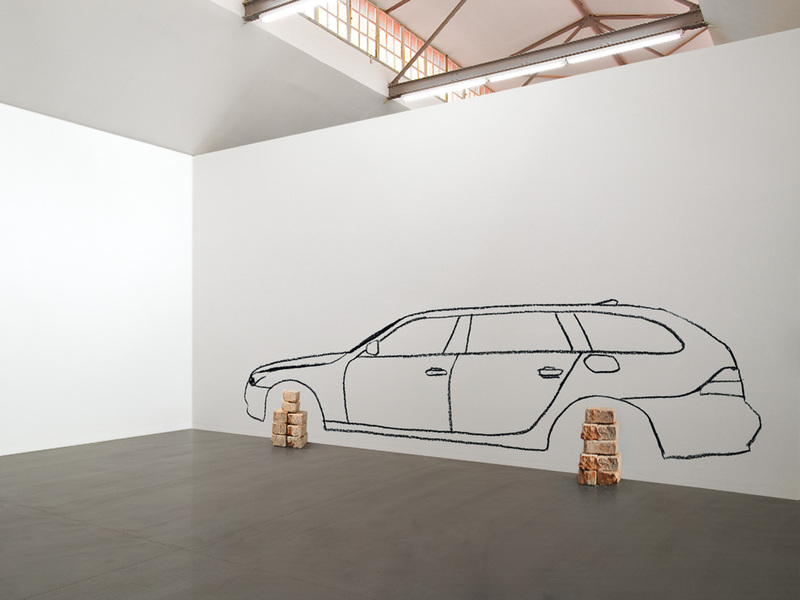 a diagram of the work in pencil or ink, 8 x 10 in. 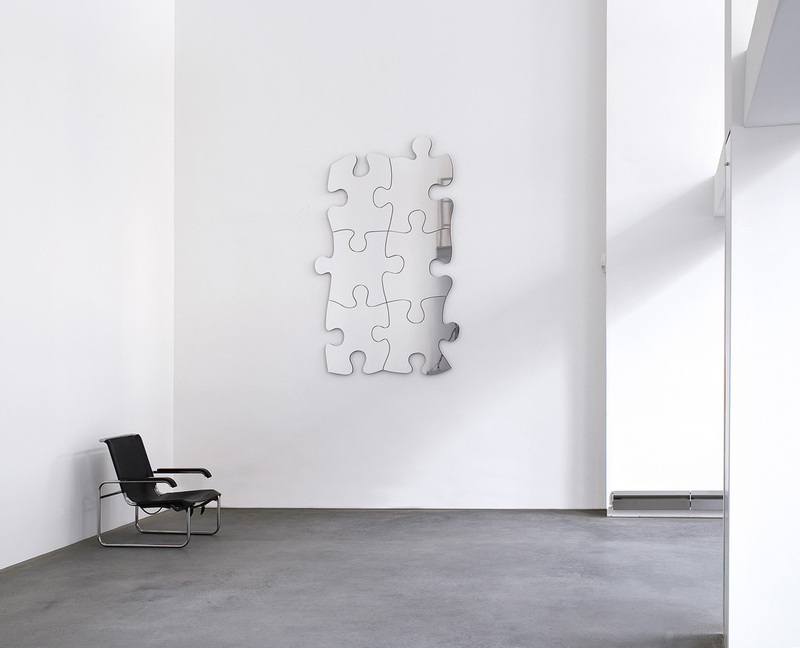 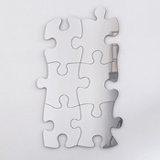 stainless steel 250 x 10 x 10 cm (98½ x 4 x 4"). 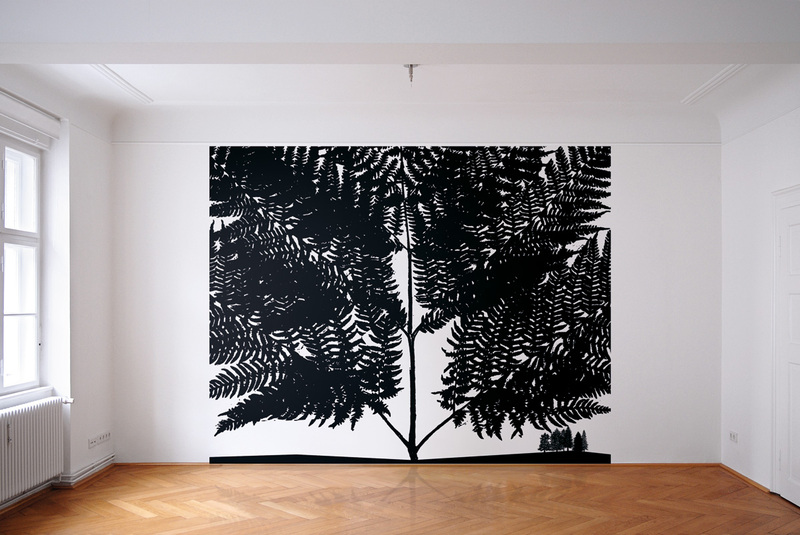 frieze along the full length of the wall. 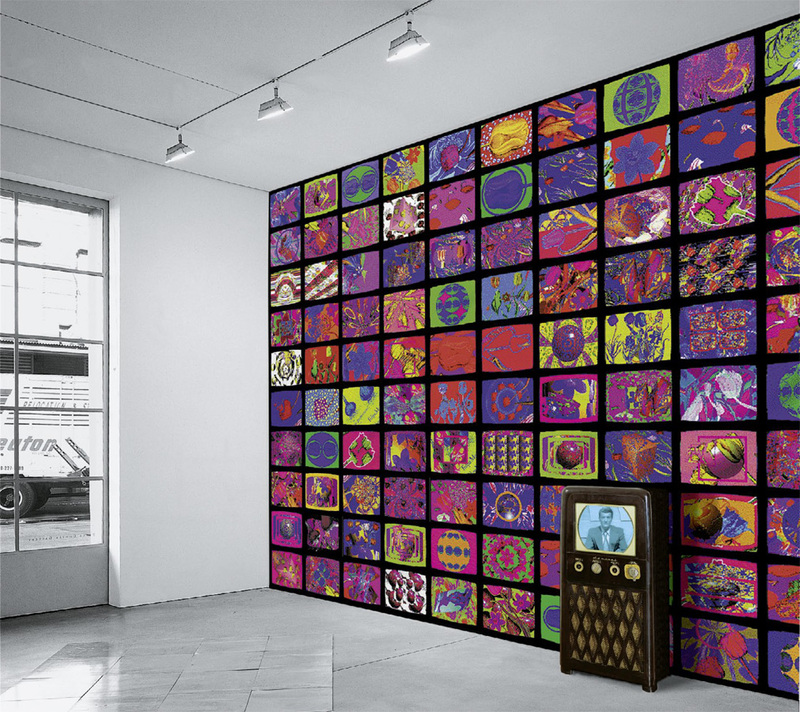 Wall painting in seven colors with an antique German TV playing the video "Color Bar Theme and Variations". 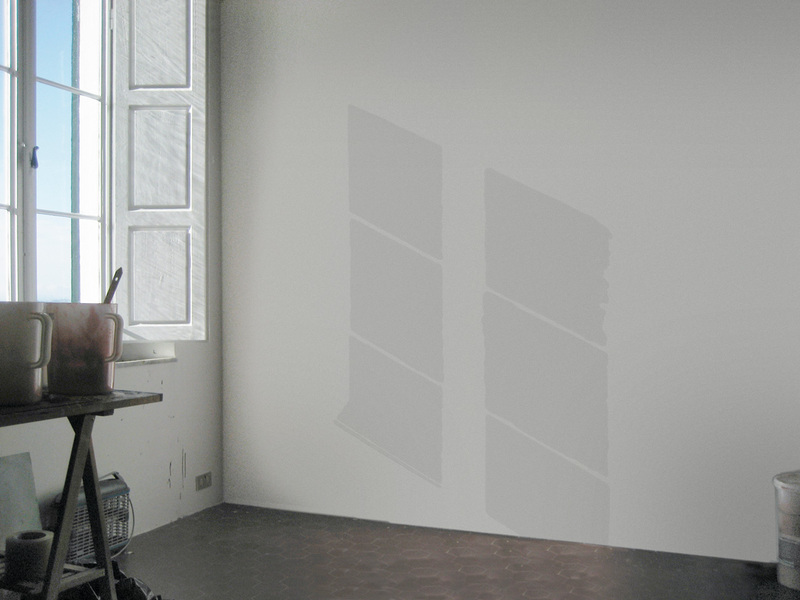 TV set varies in model within the edition, installation size according to the wall. 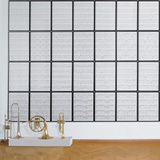 Limited to 15 installations, with a signed and numbered certificate. 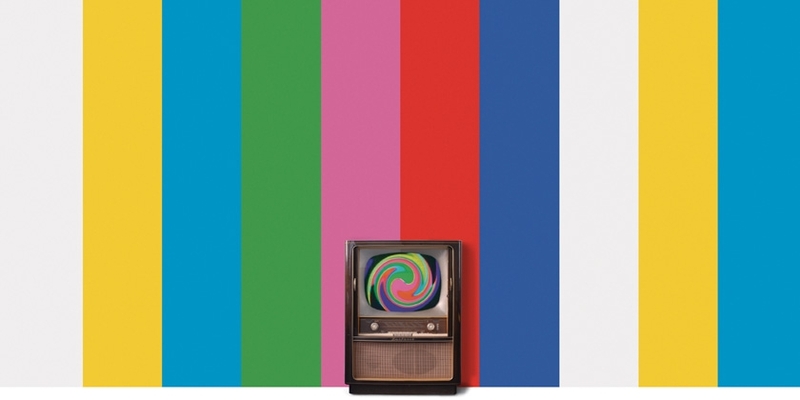 In the wall work I Never Read Wittgenstein (I Never Understood Wittgenstein), color bars quote the test pattern of US television. 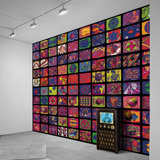 An antique television set alludes to the history of television, showing a videotape created by Paik specially for this project. 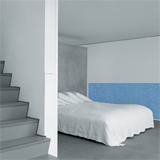 16½ ") ea., installation size according to the wall. 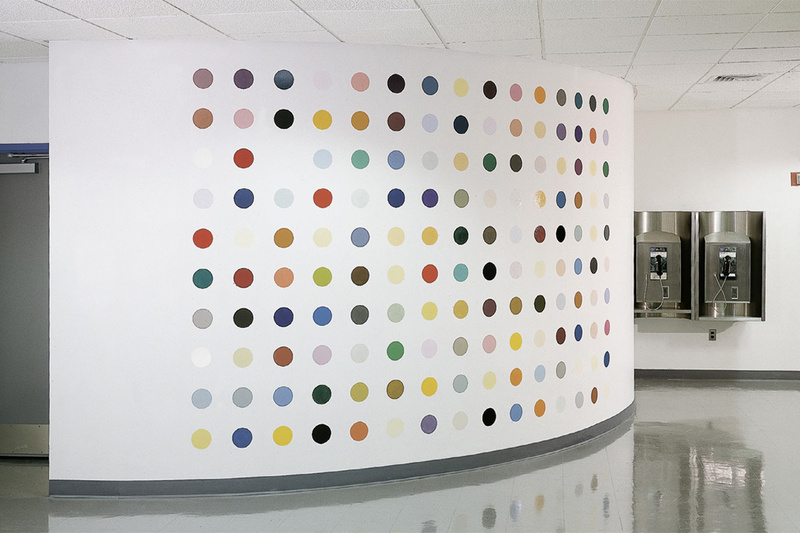 Limited to 20 installations, each with prints in a different color range, with a signed and numbered certificate. 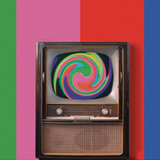 and antique television console. 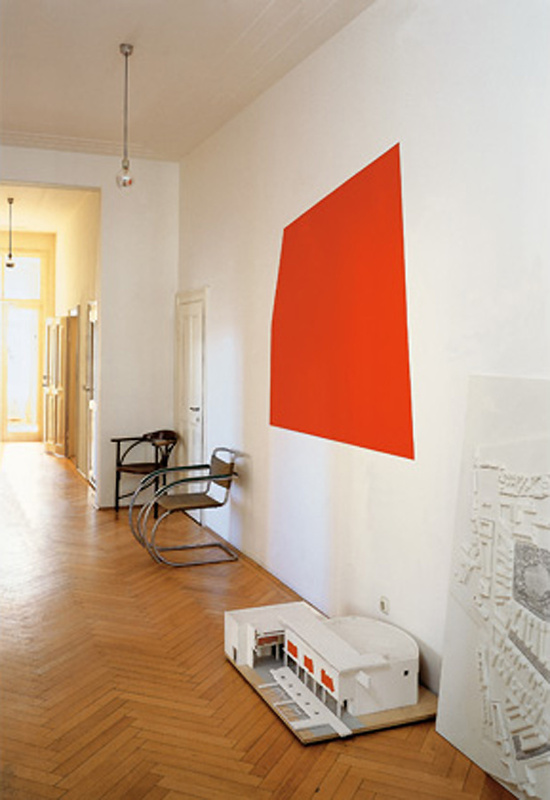 TVs vary in model and dimensions, installation size according to the wall. 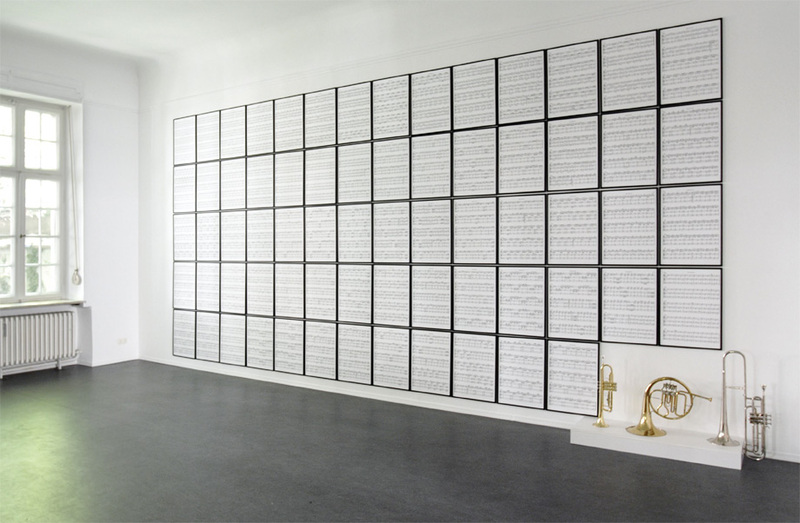 Limited to 15 installations, with a signed and numbered certificate. 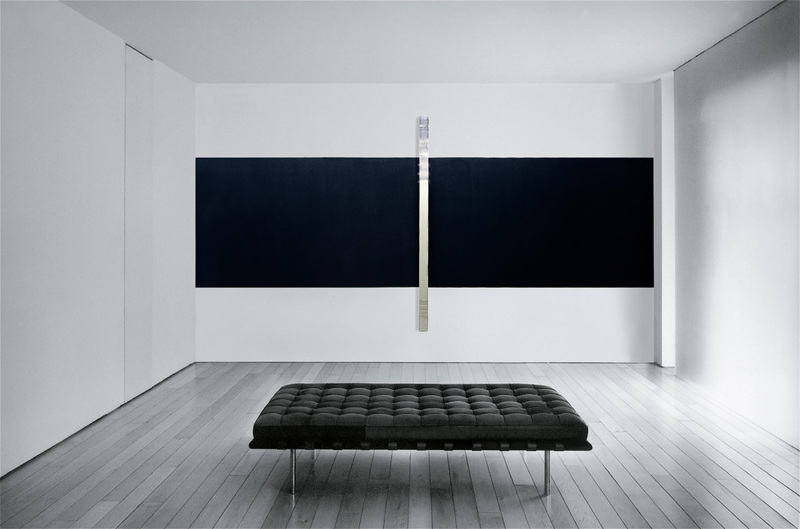 Crossed aluminum bars, painted black, on a wall, fixed in plaster at the center. 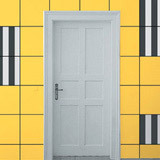 185 x 300 x 4 cm (73 x 118 x 1½ in.). 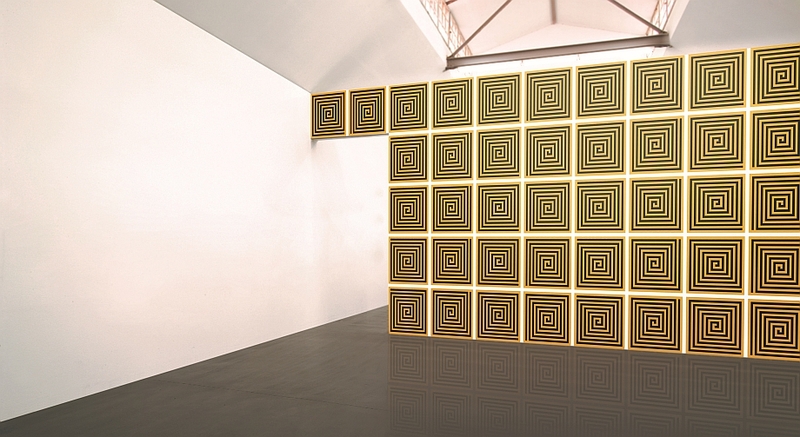 Limited to 10 (+ 2 AP) installations, with a signed and numbered certificate. 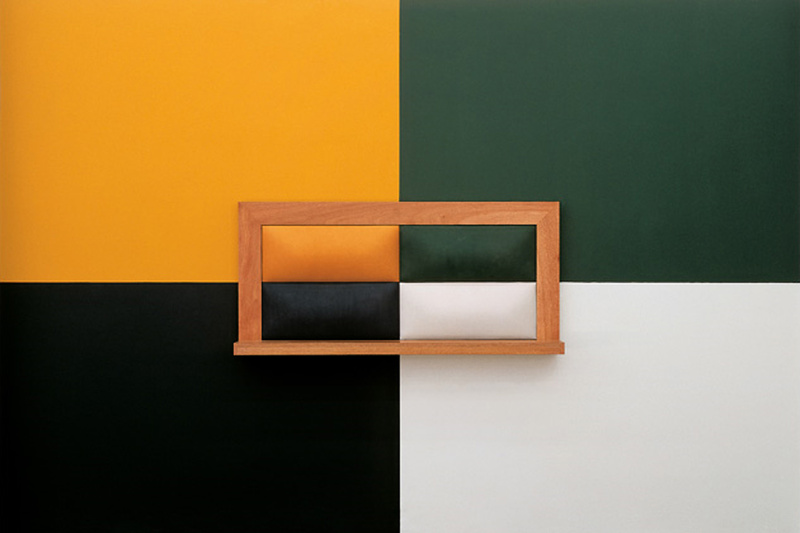 installation 262 x 221 x 56 cm (103 x 87 x 22"). 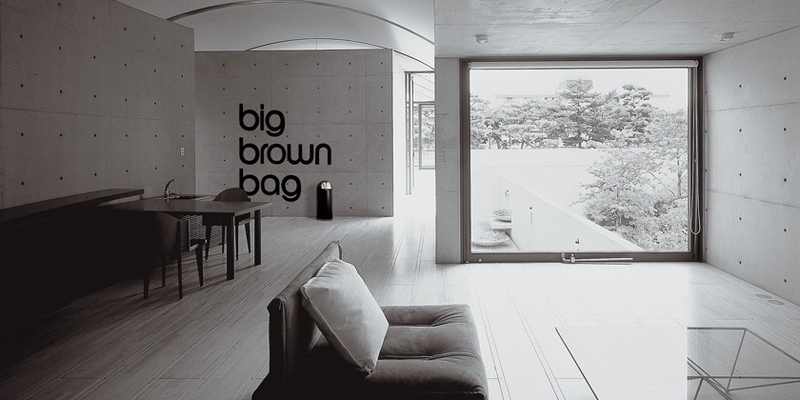 In the work big brown bag, Steinbach for the first time incorporates both text and object. 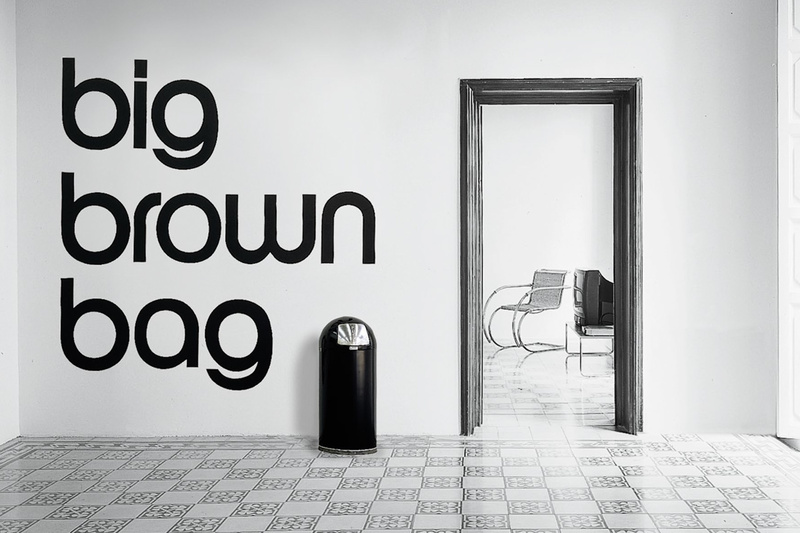 Taking the ubiquitous Bloomingdale´s shopping bag slogan, he sets the bullet trash can against the slogan´s repetitive typographic curves. 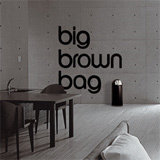 The essentially functional containers (bag and can) are transformed into a play of metonymic resonance. 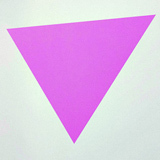 or hot pink. 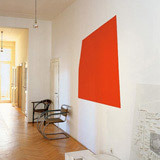 Size according to the wall. 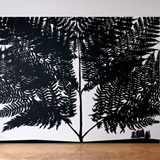 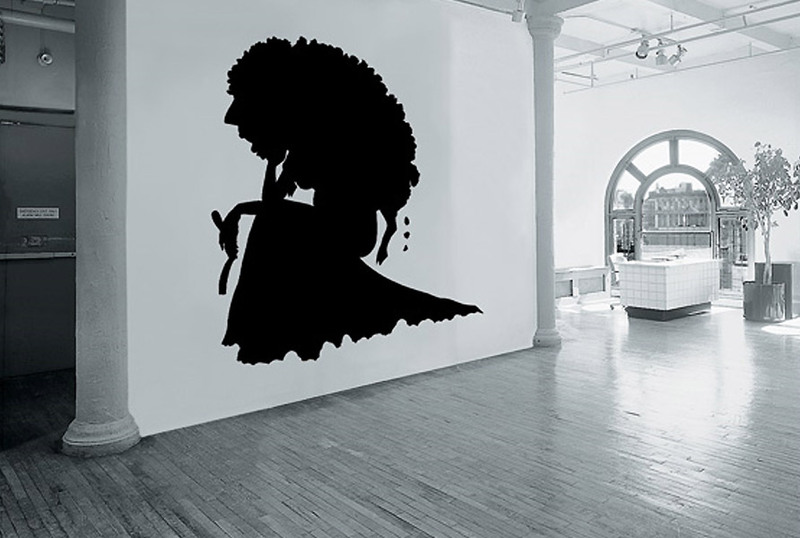 Wall painting in black; size 183 cm (6") tall. 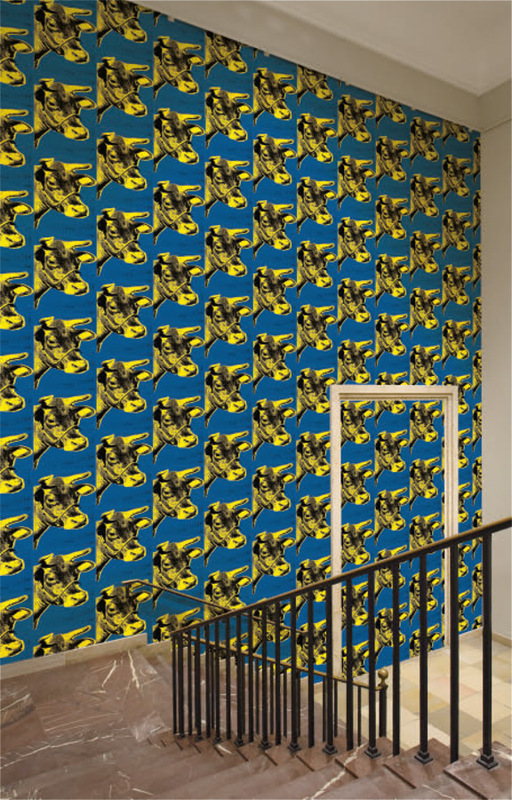 Wall covered with wallpaper, originally with vintage silkscreen wallpaper (image as Feldman/Schellmann #12), as of 2008 with reprint wallpaper (F/S #12a). 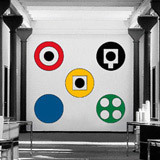 For temporary installation in museums or public exhibition spaces only, to be approved by the Andy Warhol Foundation for the Visual Arts, New York. 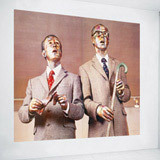 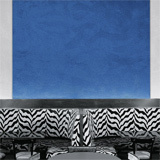 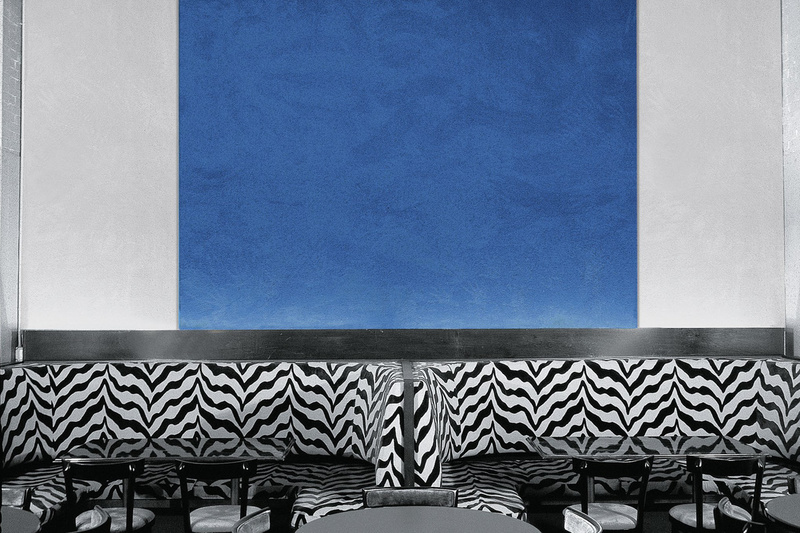 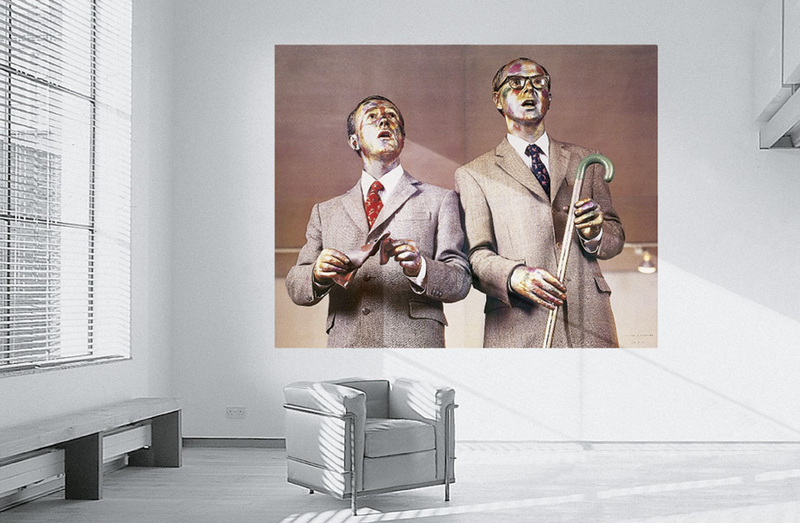 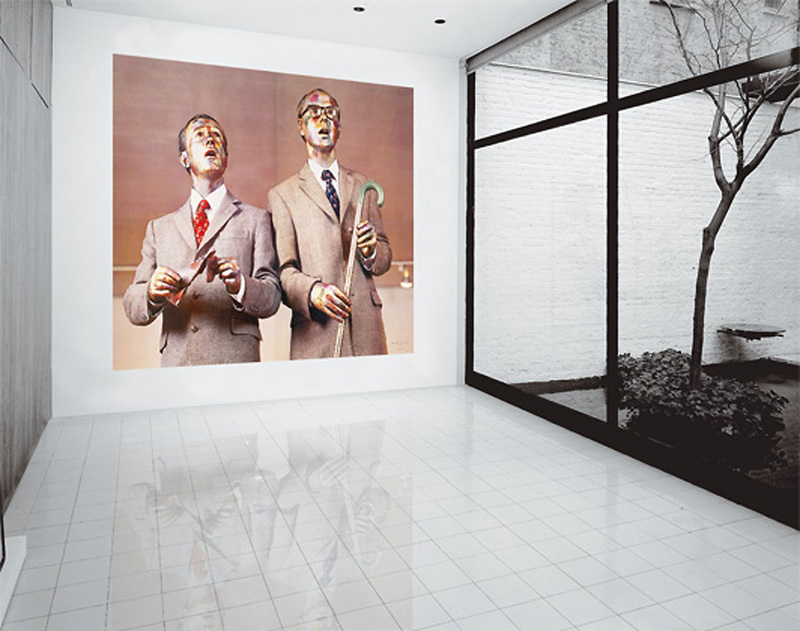 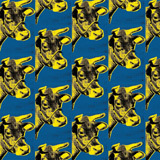 The first Cow wallpaper was installed at the Leo Castelli Gallery, New York in 1966. 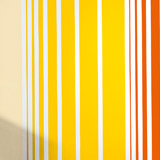 Three other color variations were produced, two in 1971 and one in 1976. 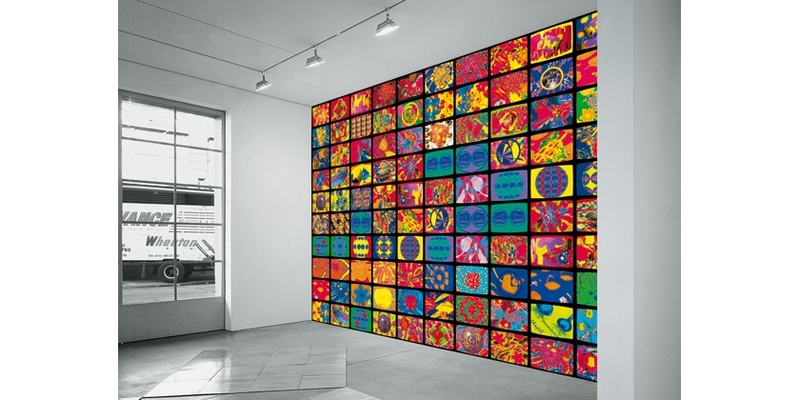 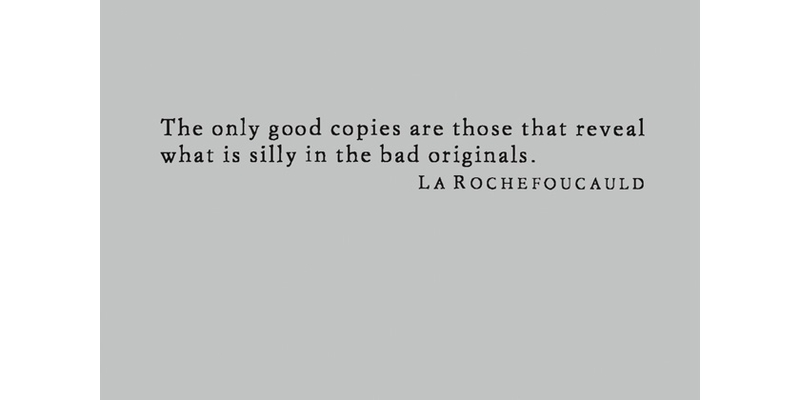 All of them were published in unlimited editions, of which Warhol signed 100-150 prints in each variation. 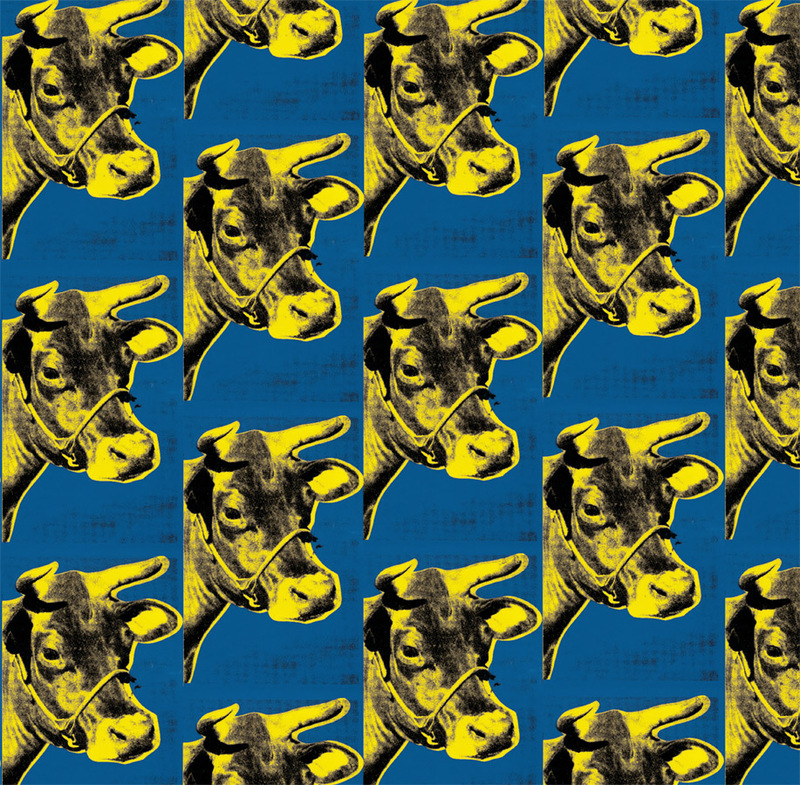 The Cow image was used as wallpaper in several museum shows.